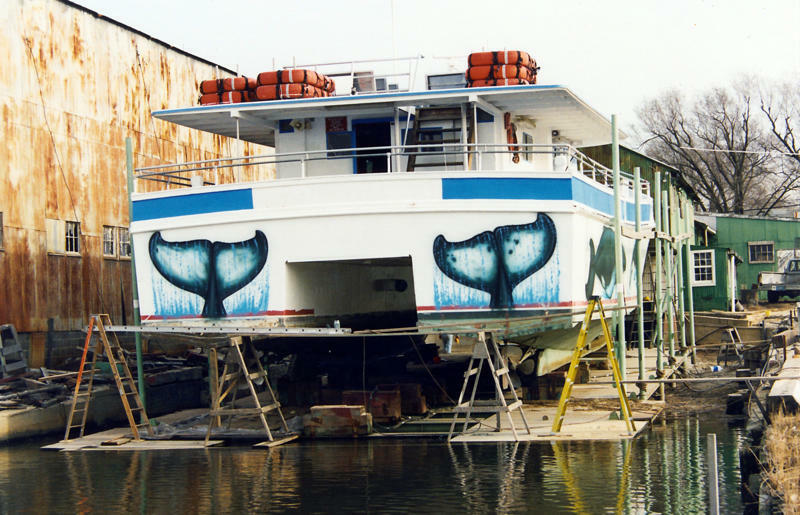 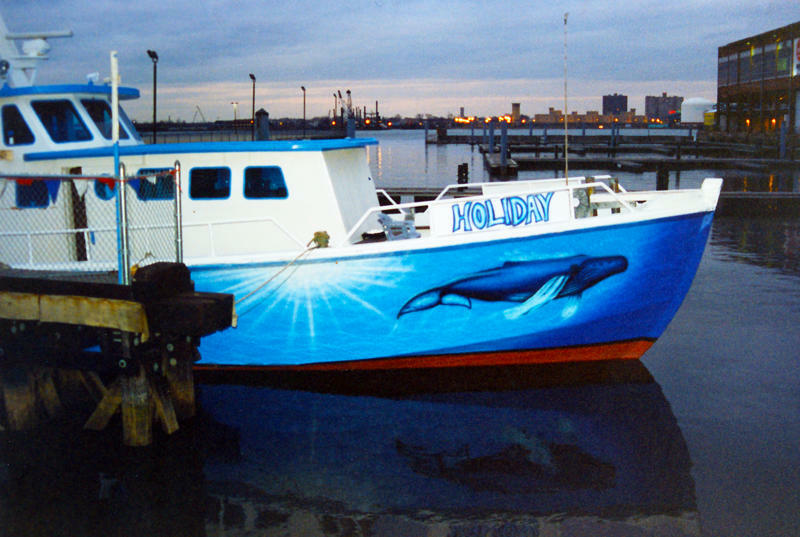 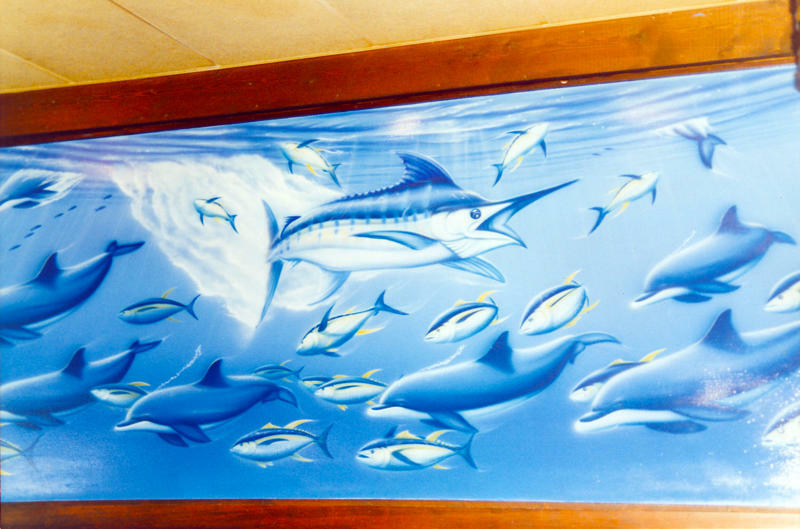 Our Mission: David Dunleavy “SeaLife Murals” are designed to encourage people to go outside, explore and enjoy the great outdoor water world while treading lightly. 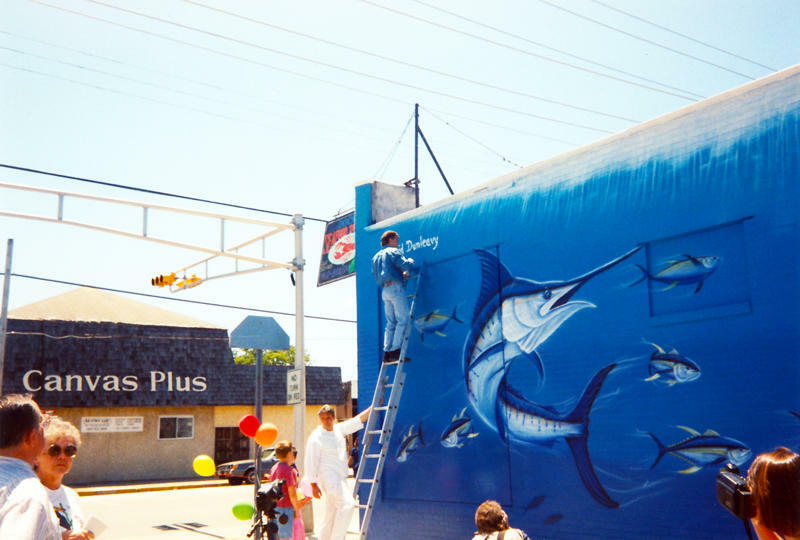 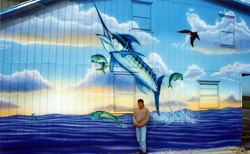 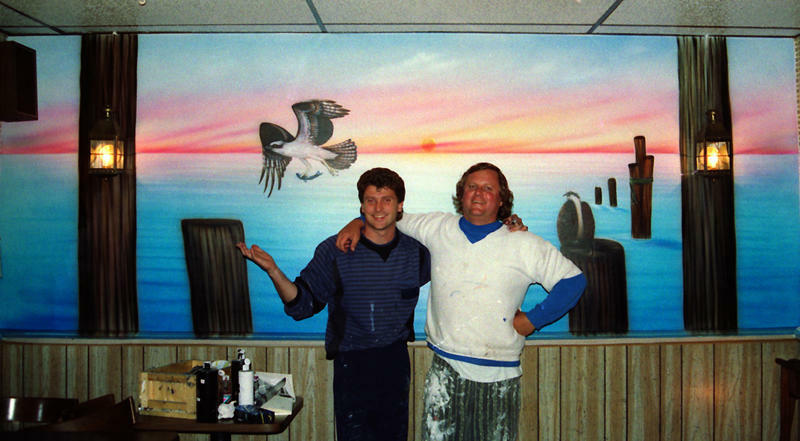 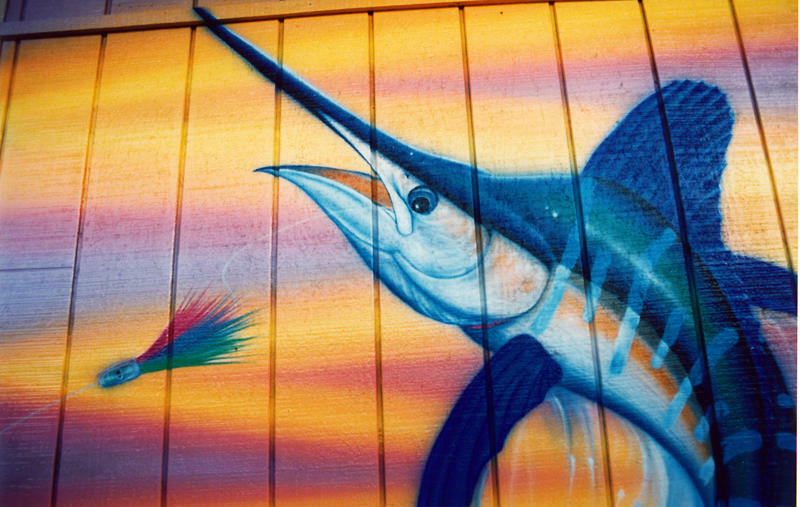 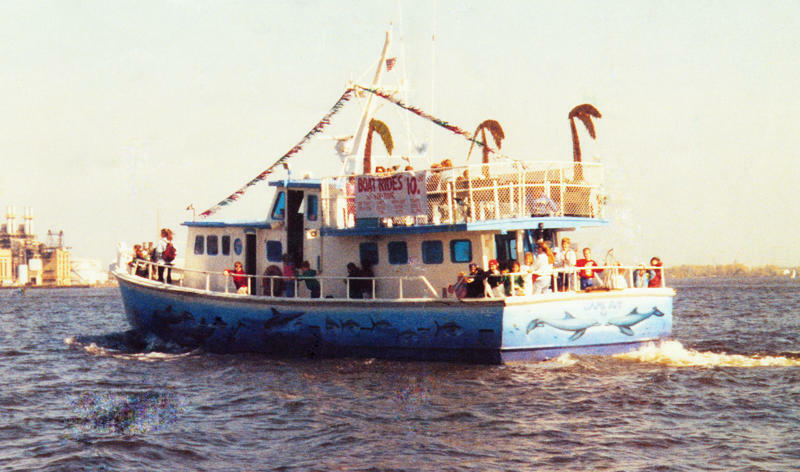 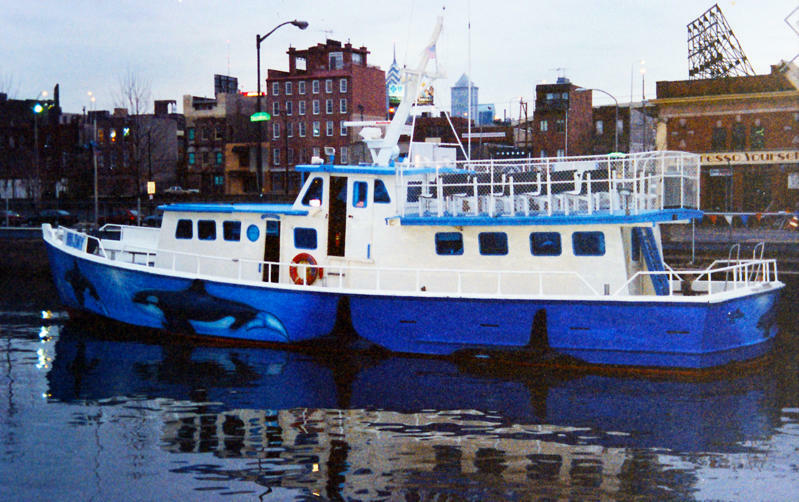 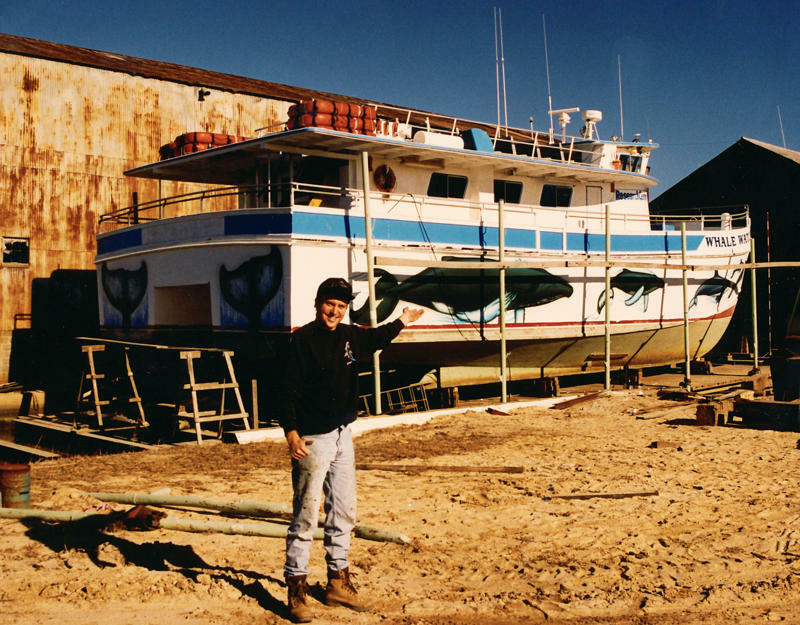 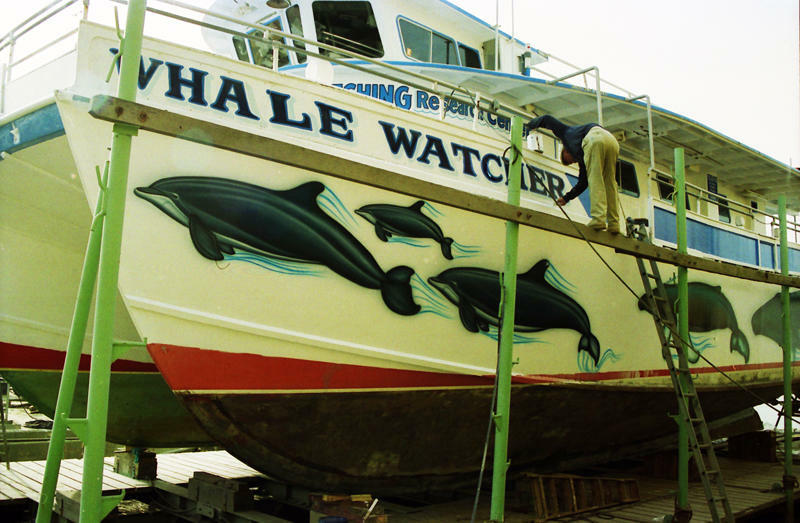 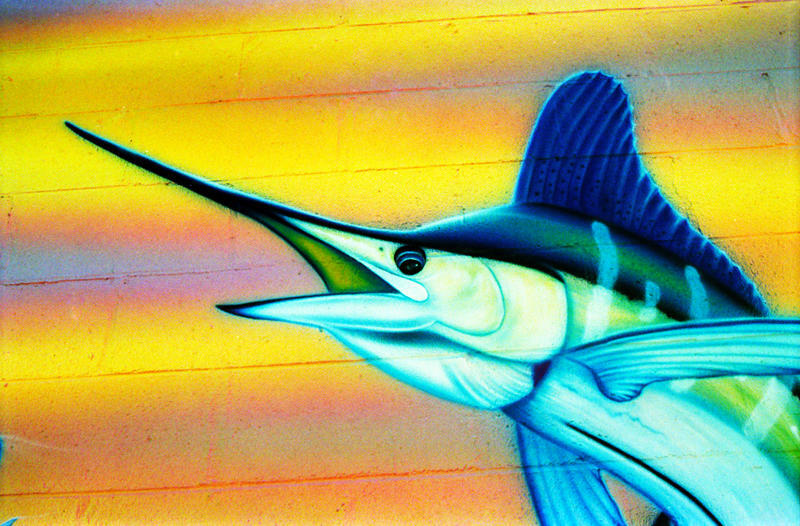 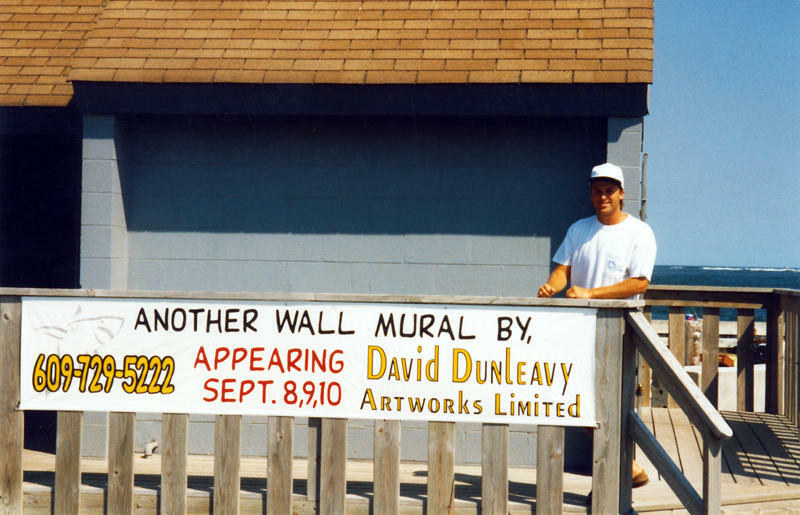 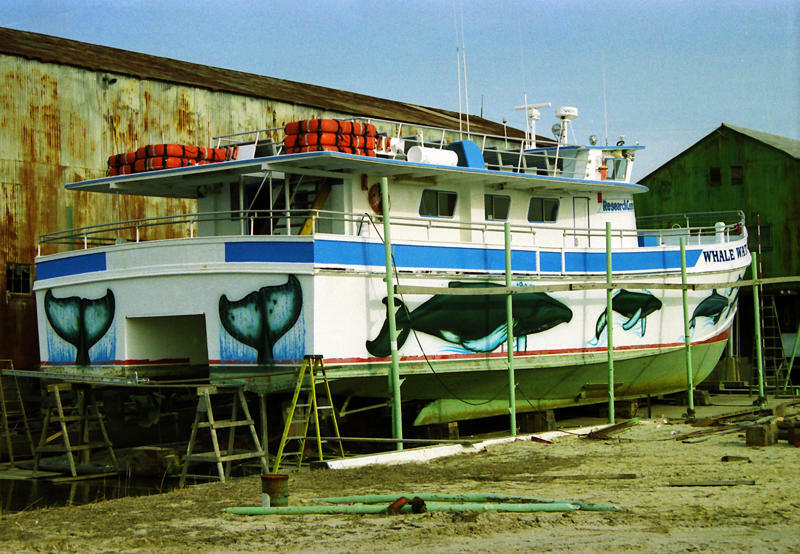 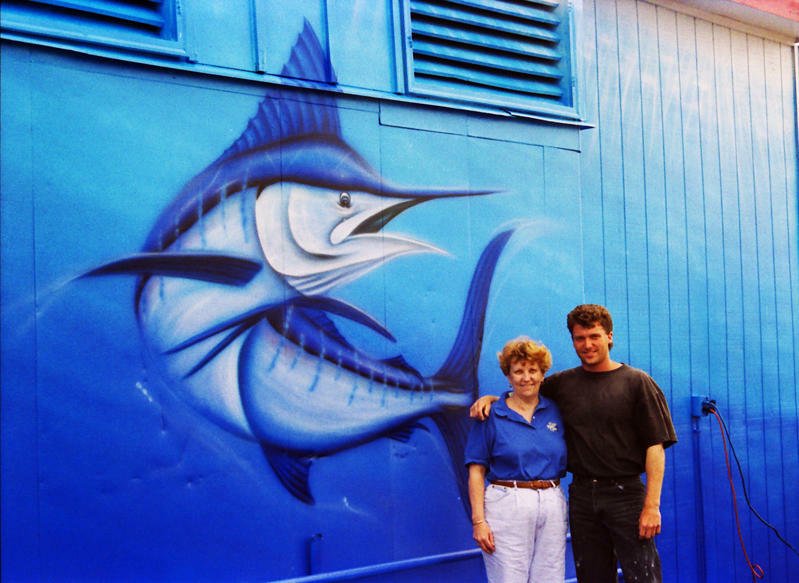 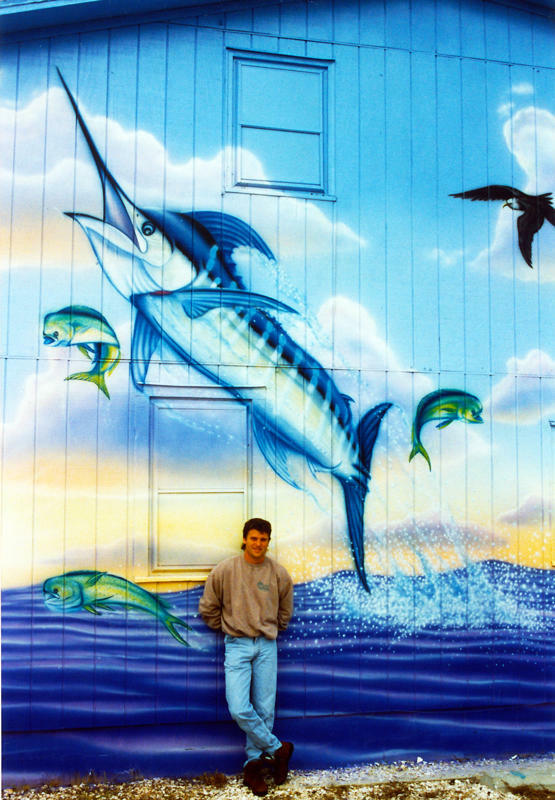 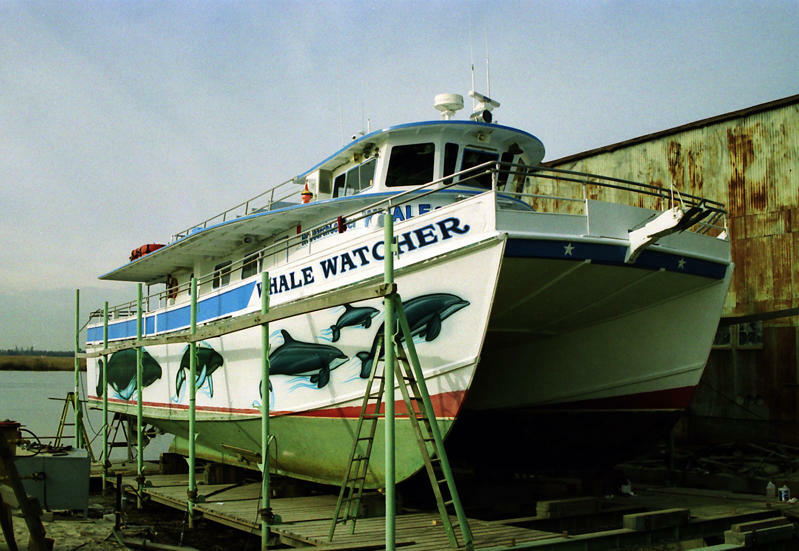 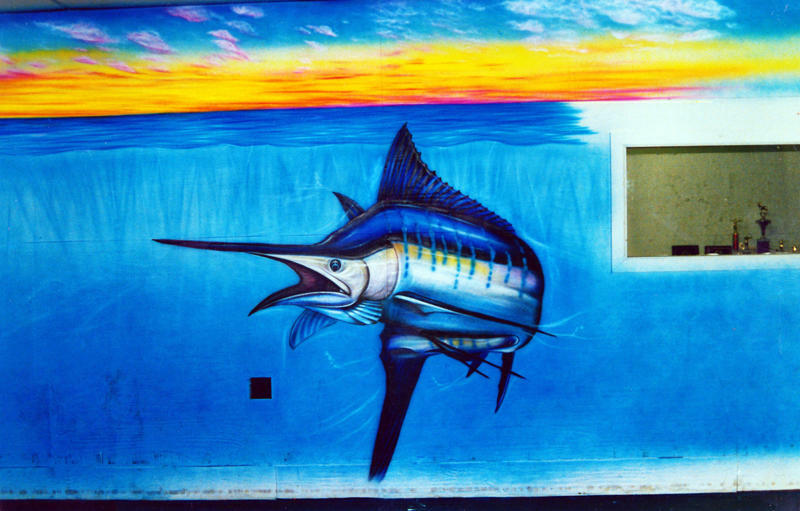 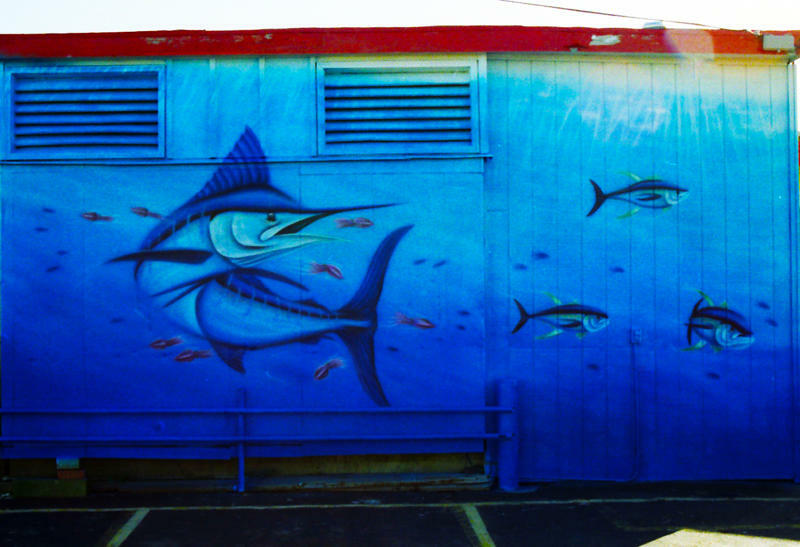 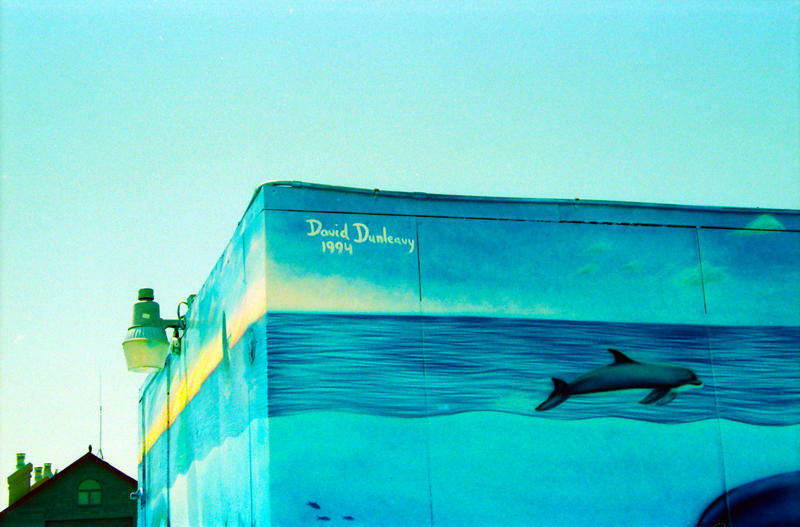 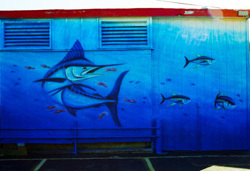 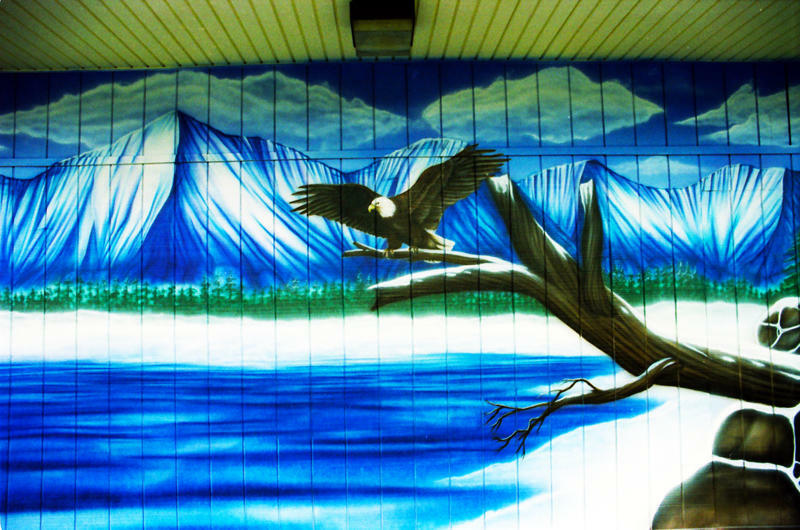 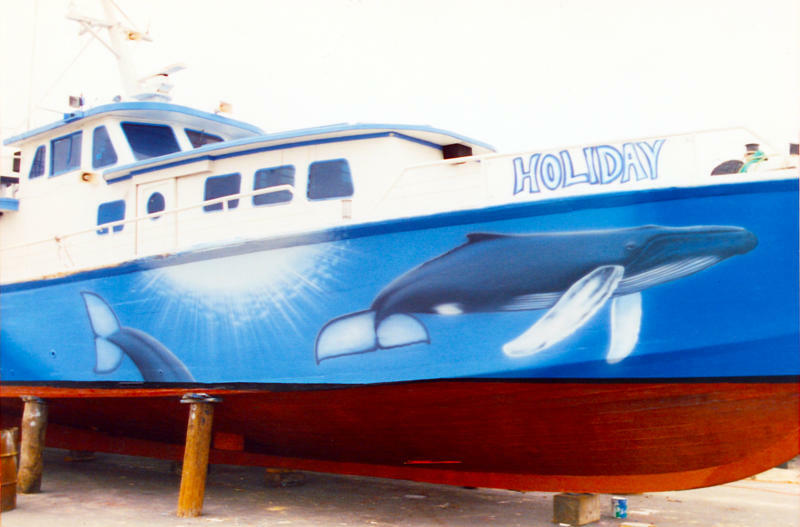 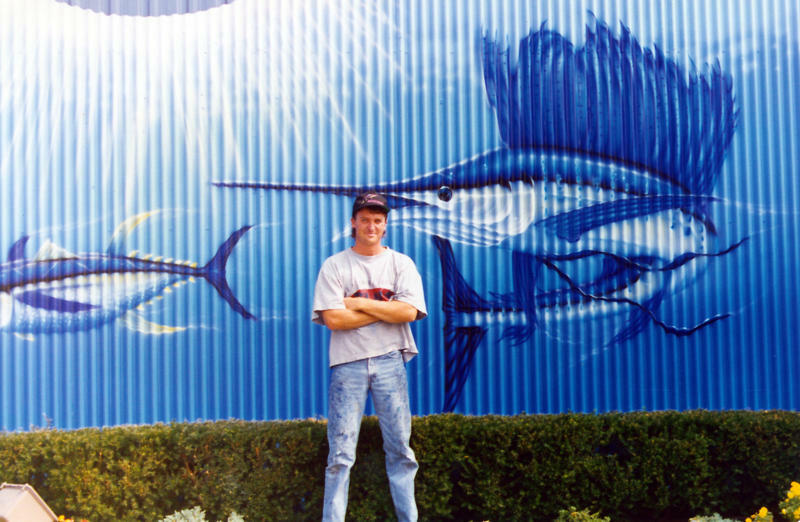 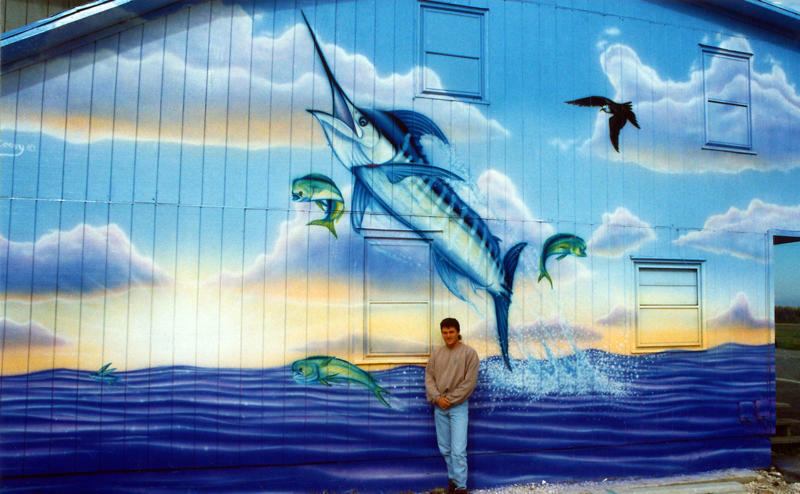 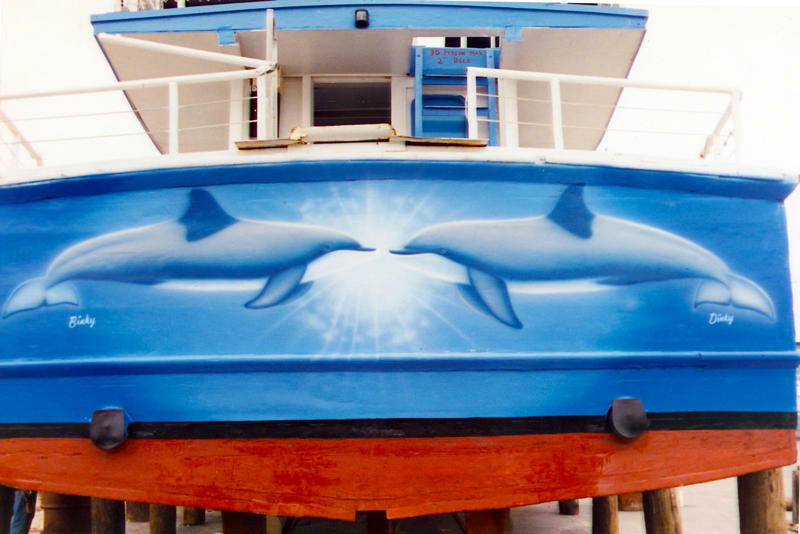 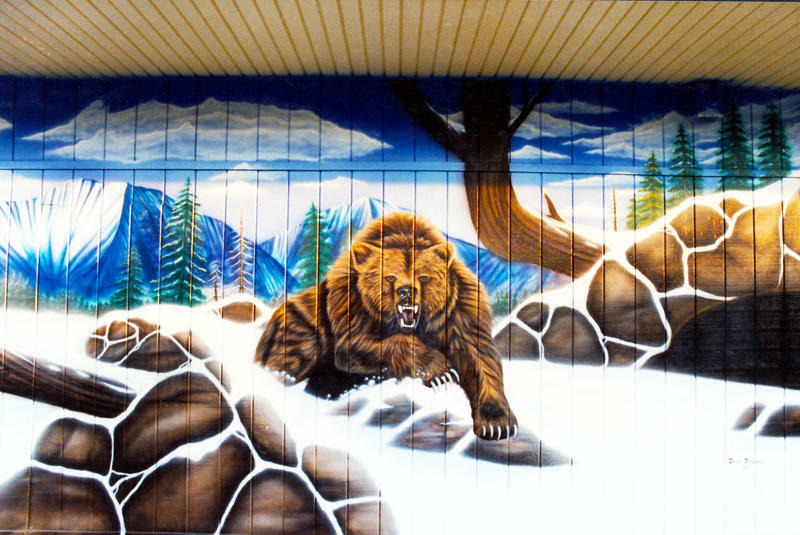 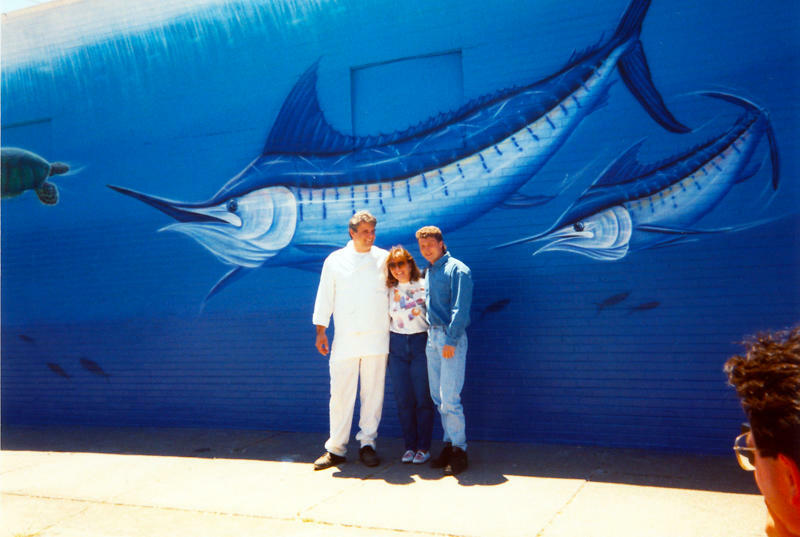 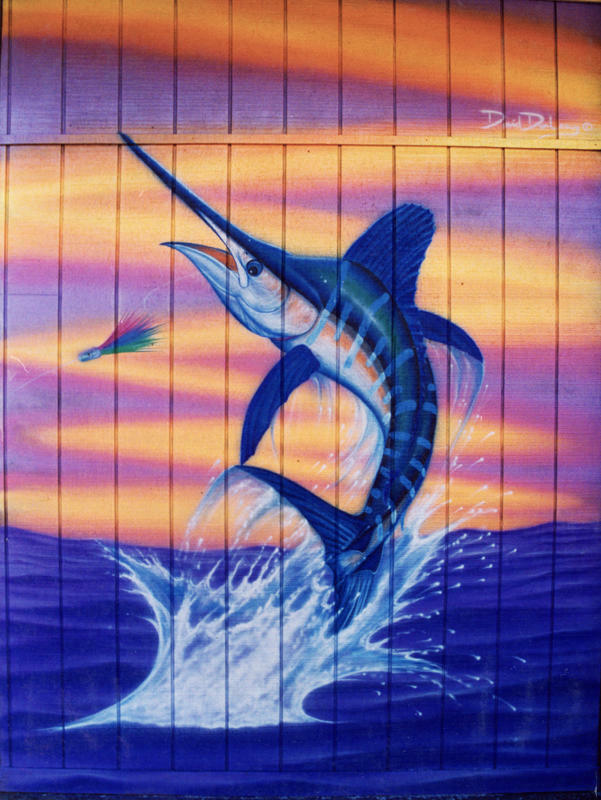 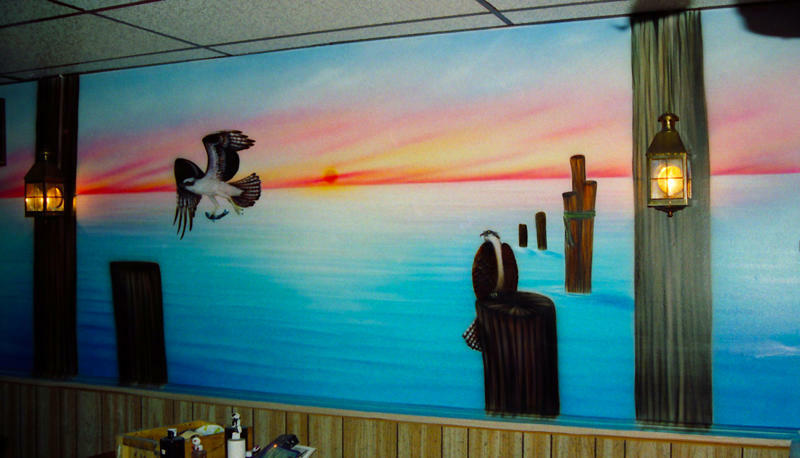 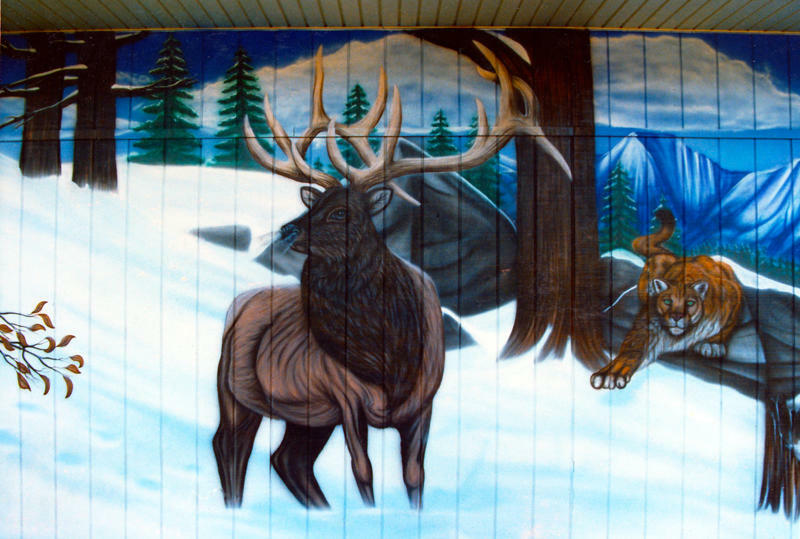 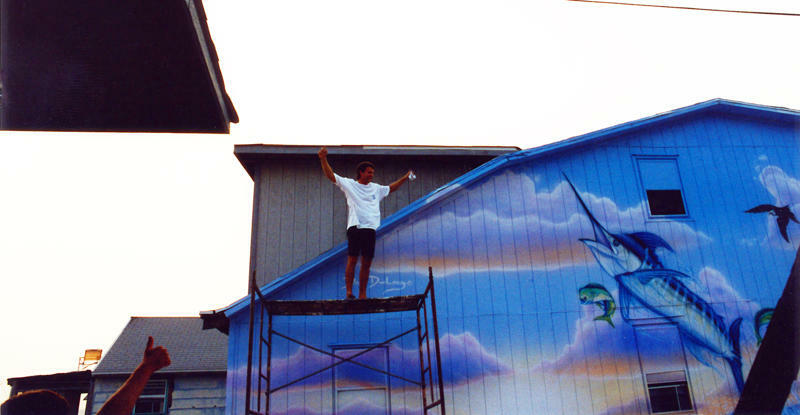 Dunleavy’s SeaLife Murals influence people to go boating, take a kid fishing, teach children catch & release ethics and fish within regulations for sustainable fisheries for future generations. 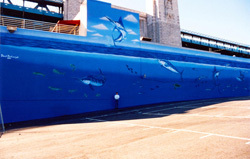 The “SeaLife Murals” are also designed to encourage people to go kayaking or try a SUP, and to feel the ultimate under water world experience go Scuba Diving or try snorkeling. 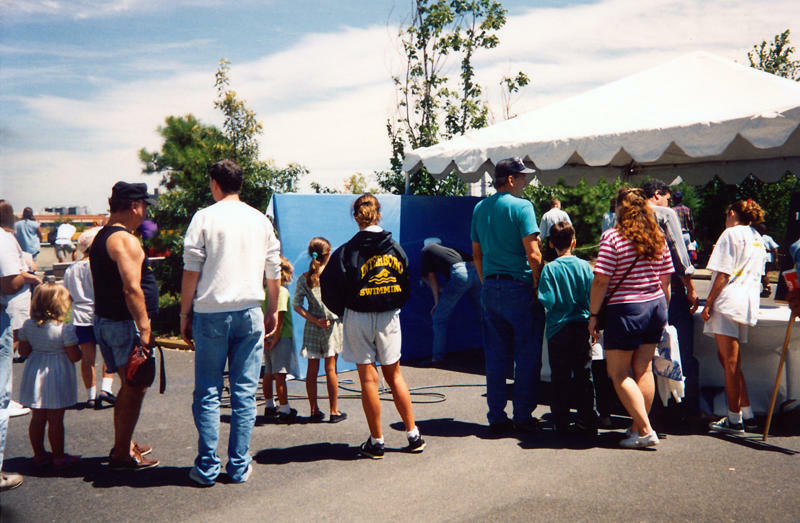 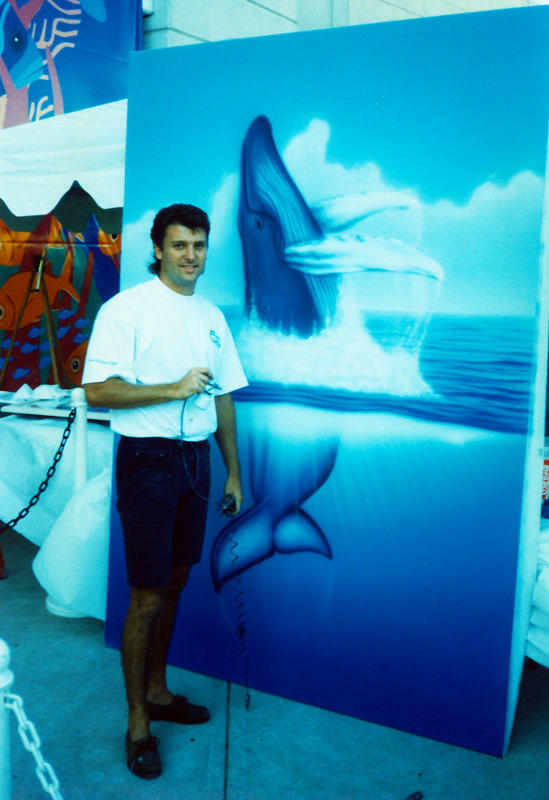 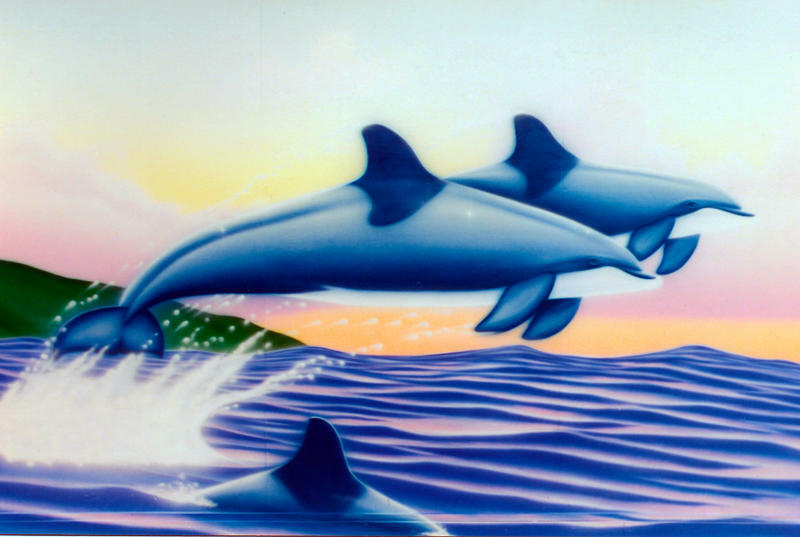 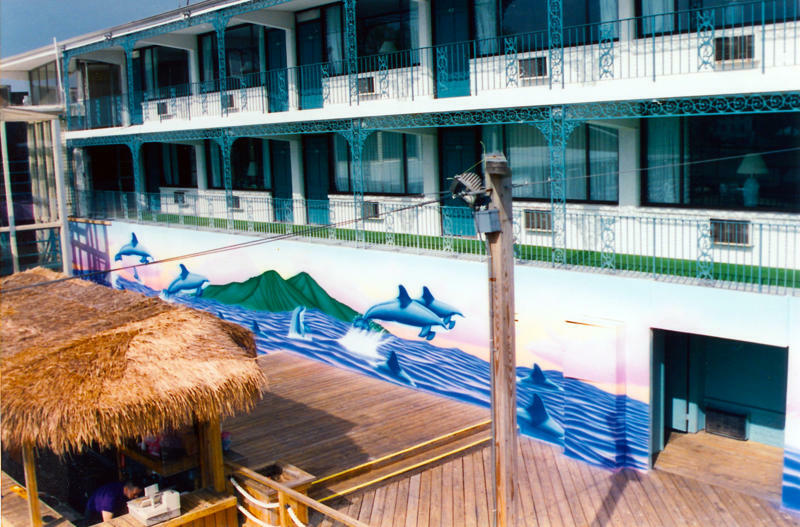 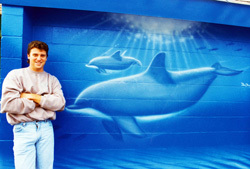 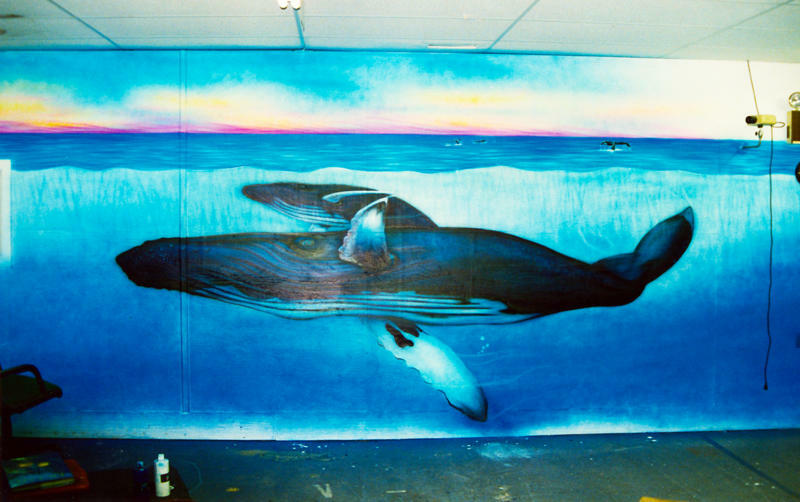 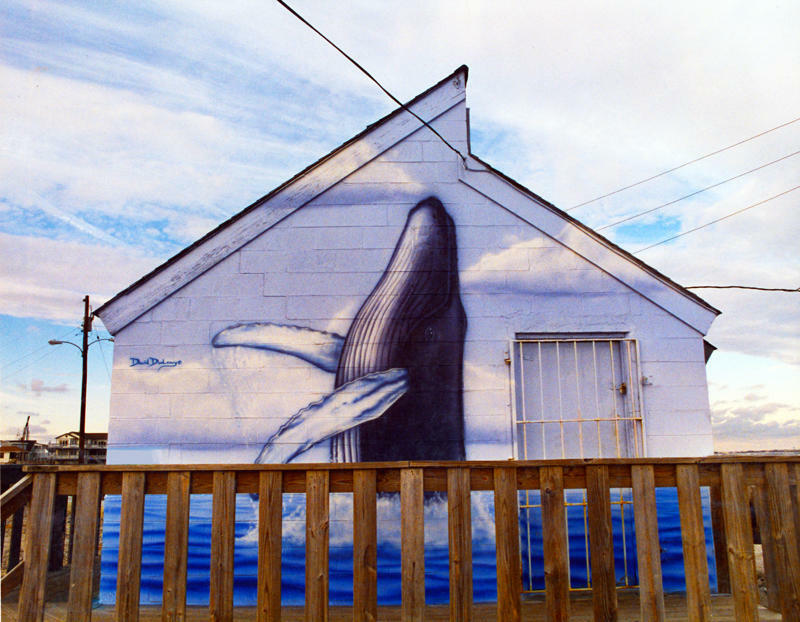 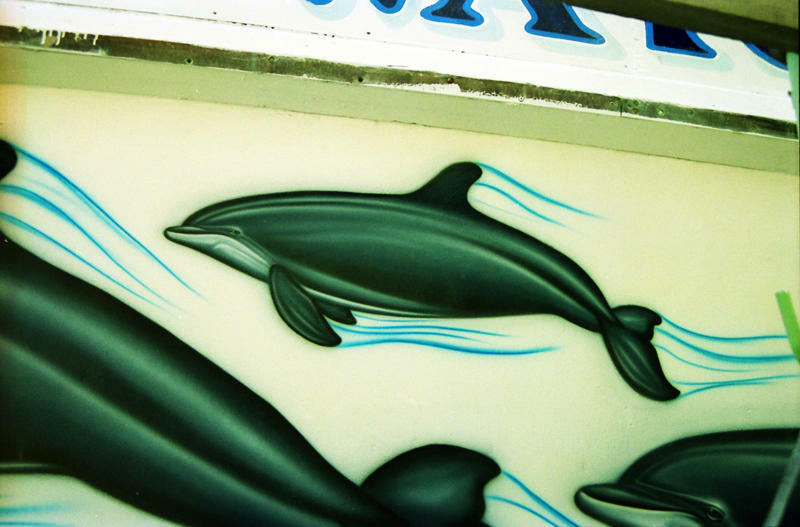 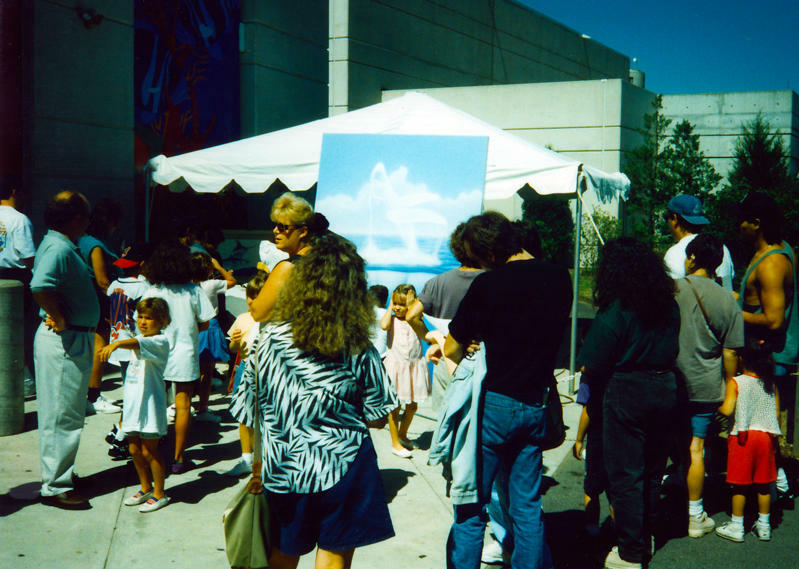 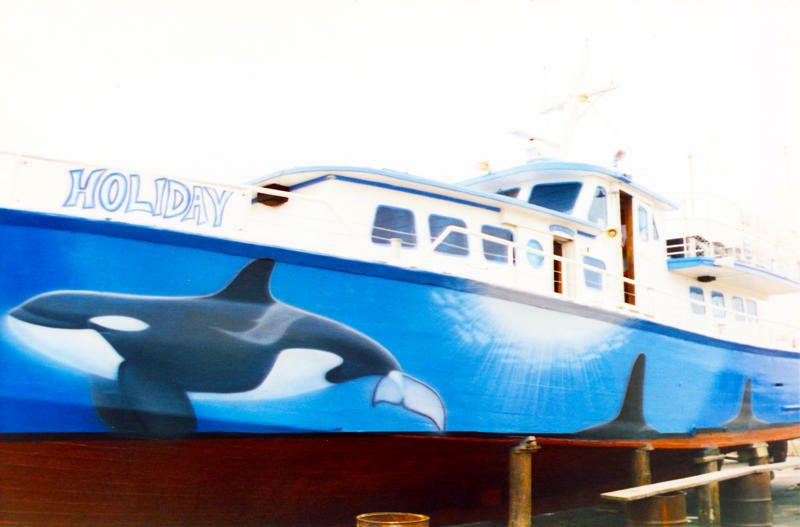 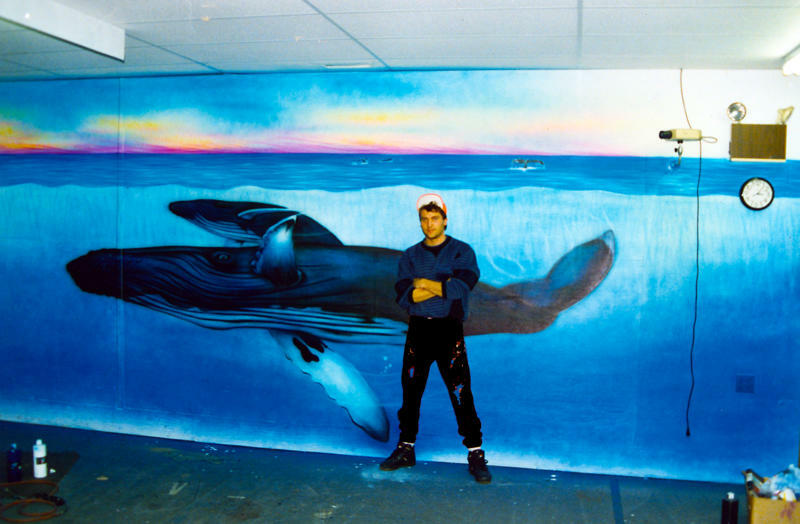 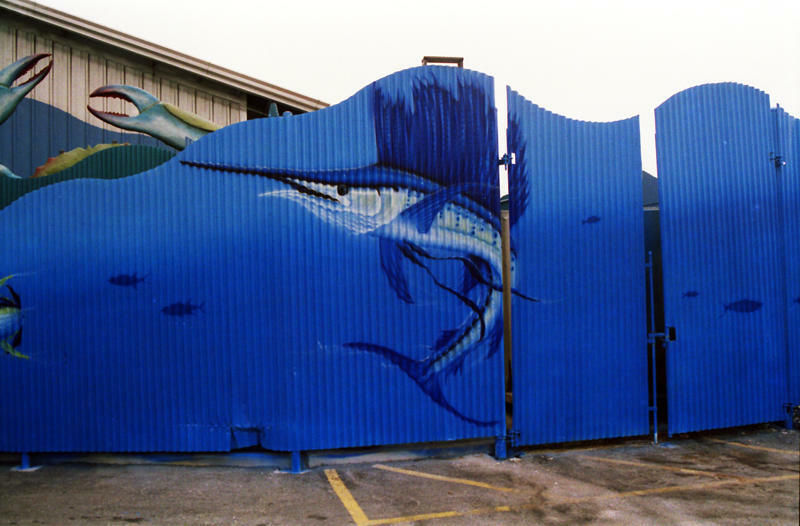 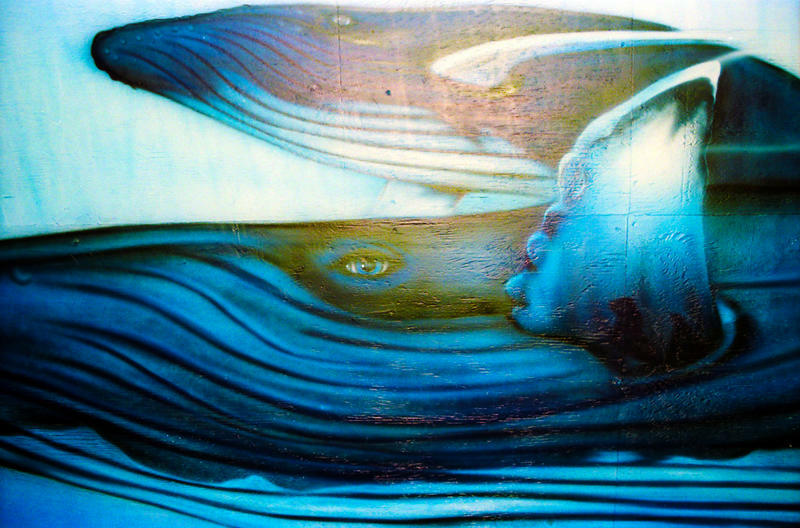 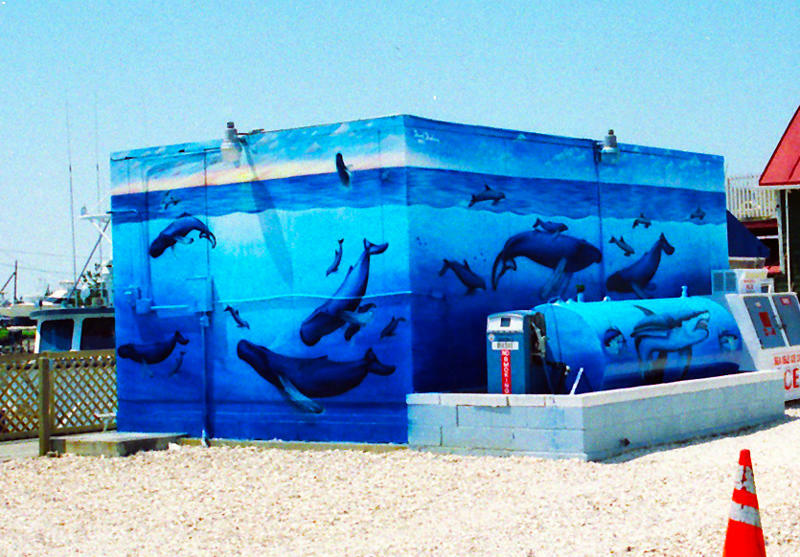 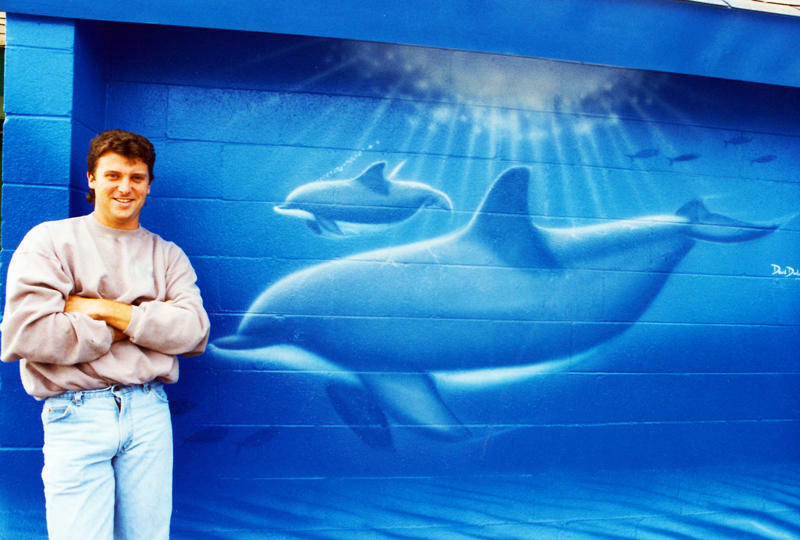 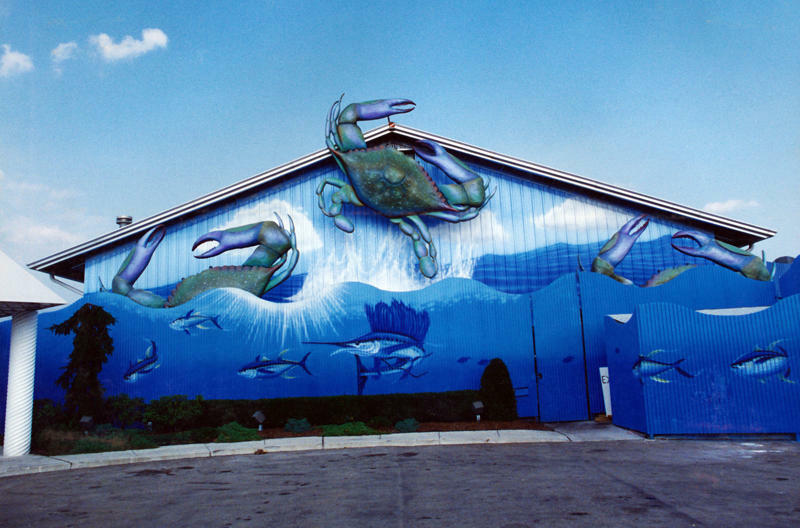 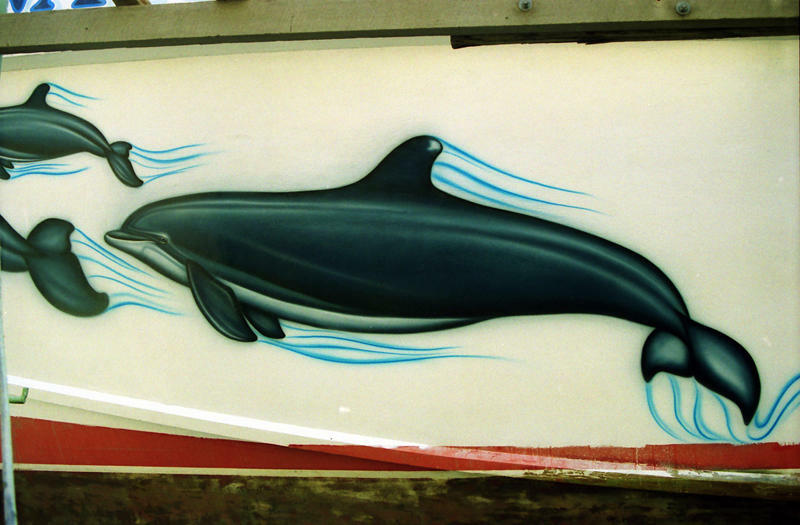 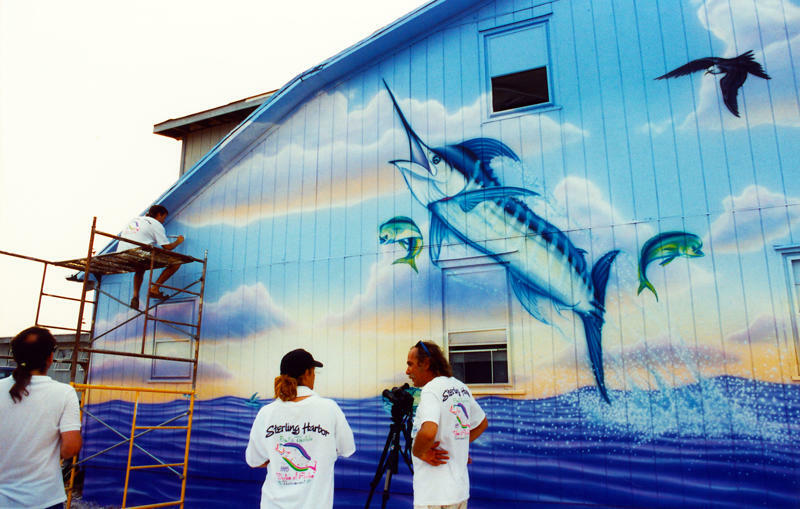 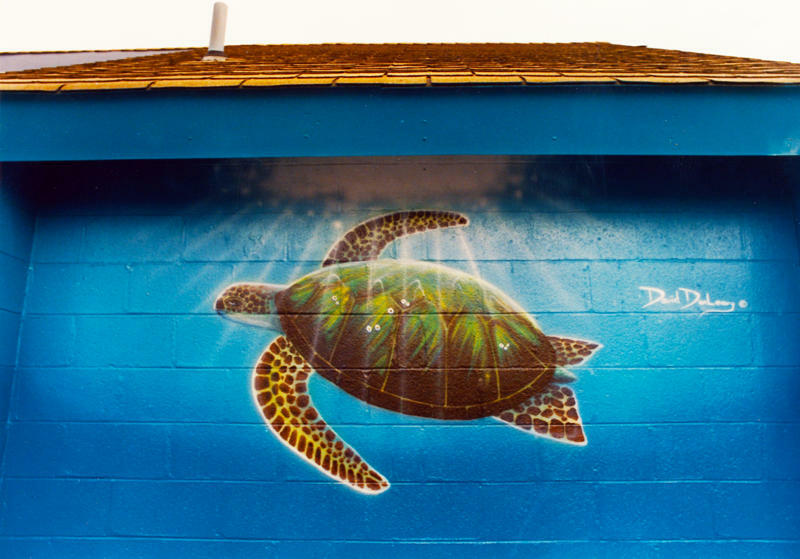 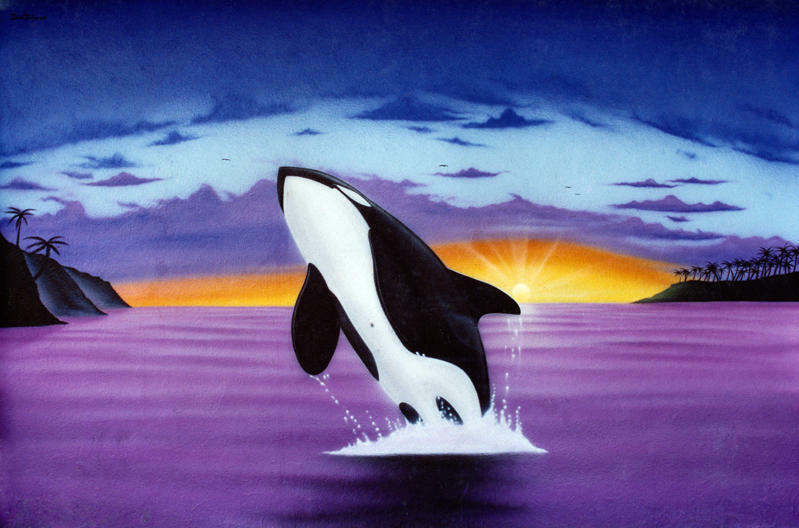 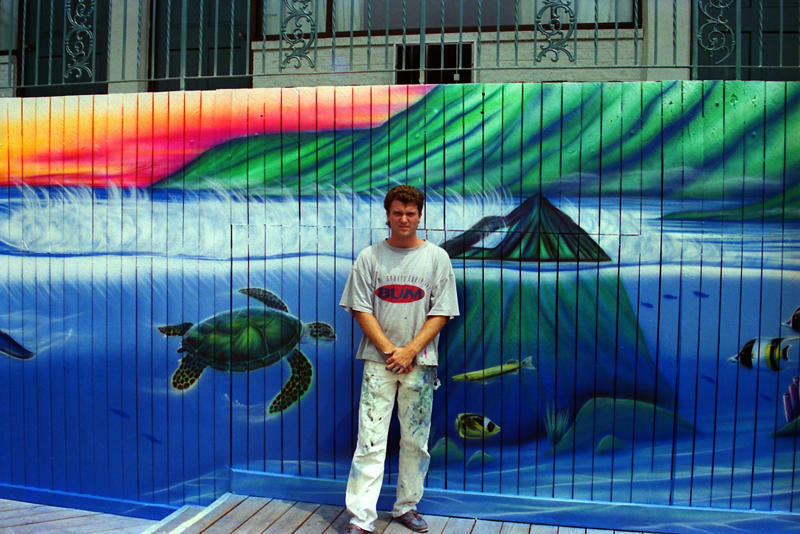 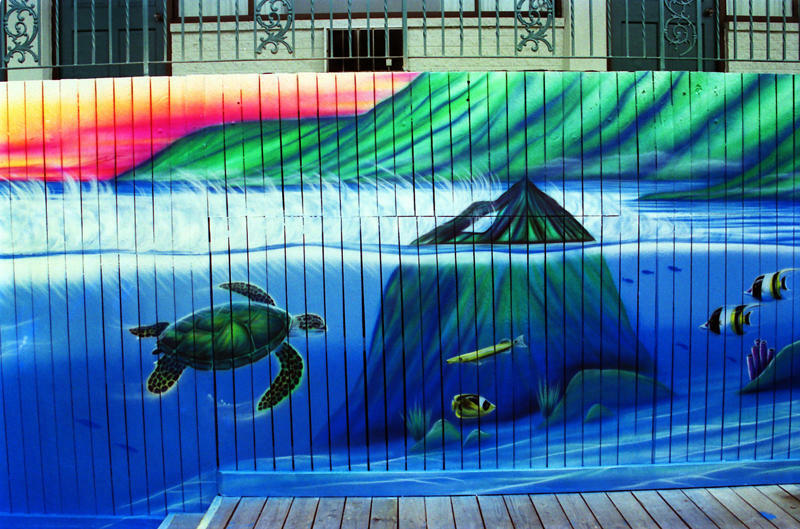 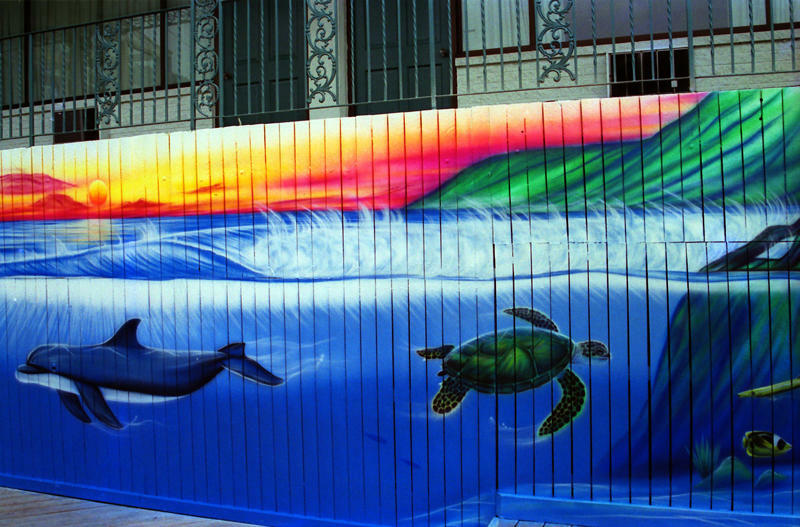 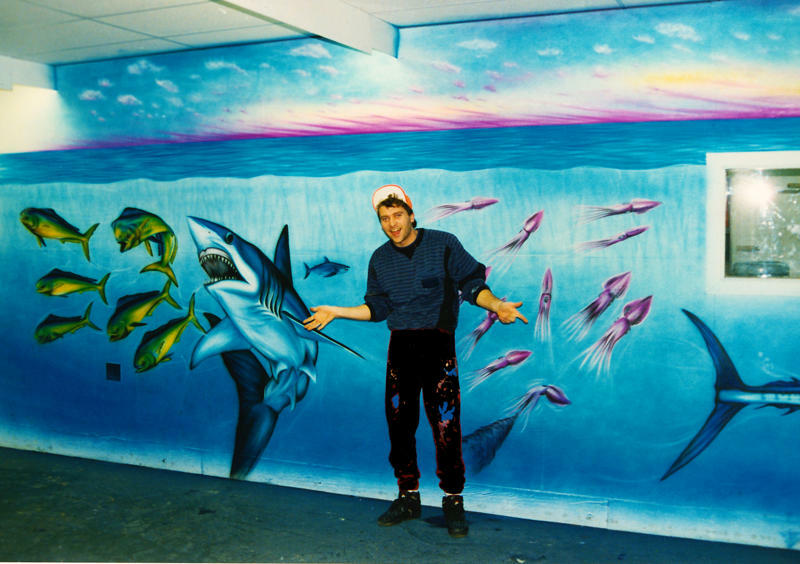 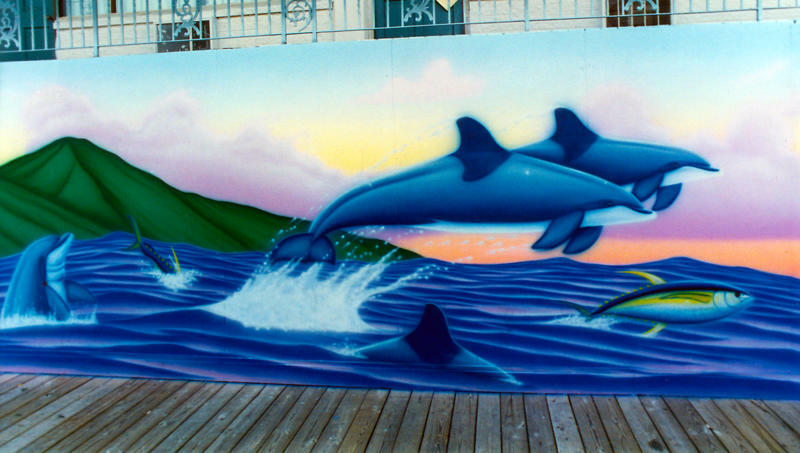 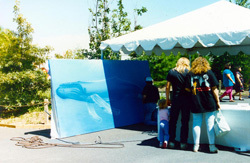 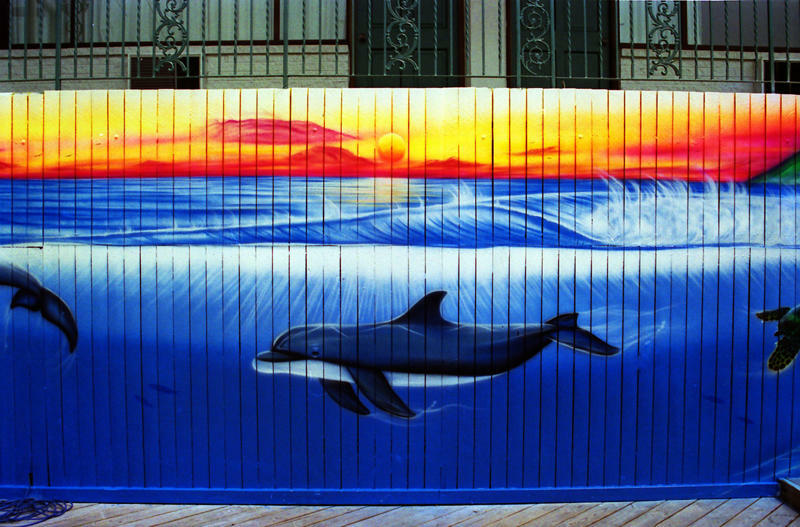 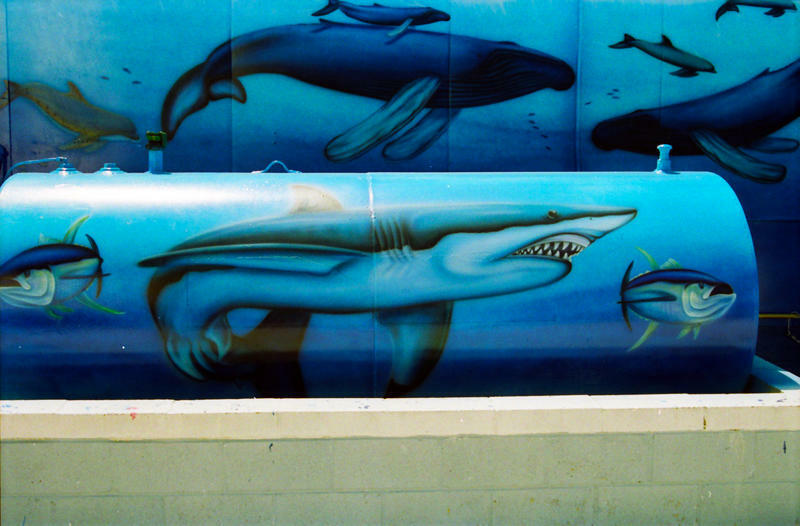 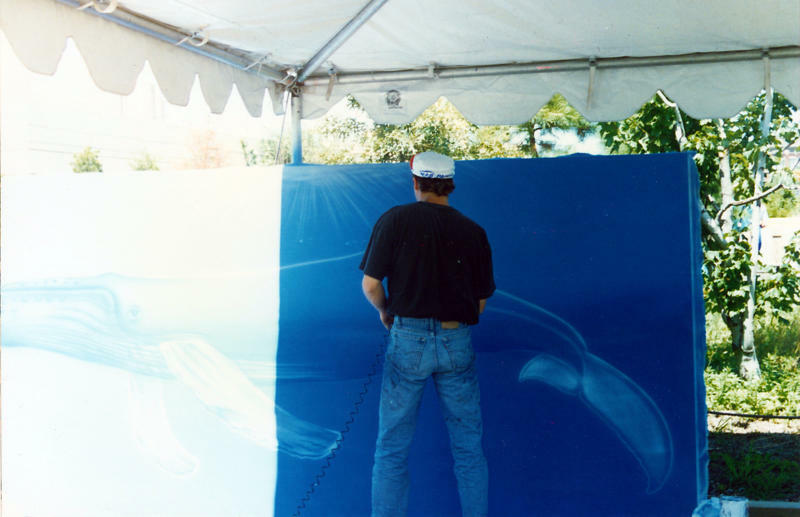 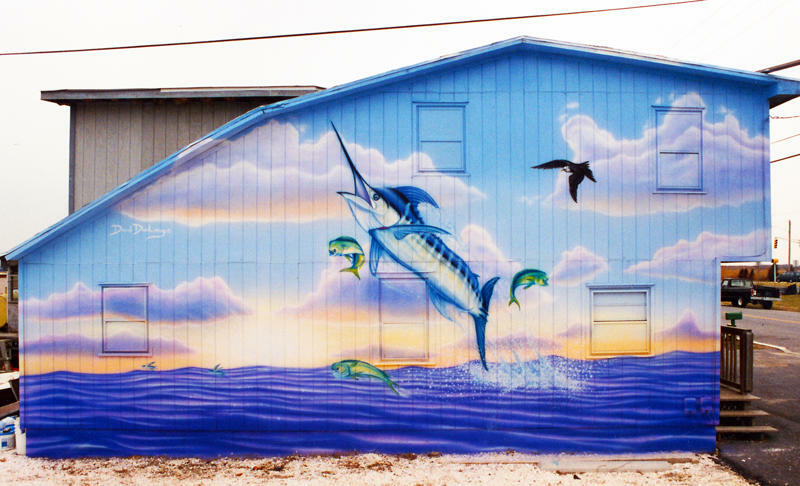 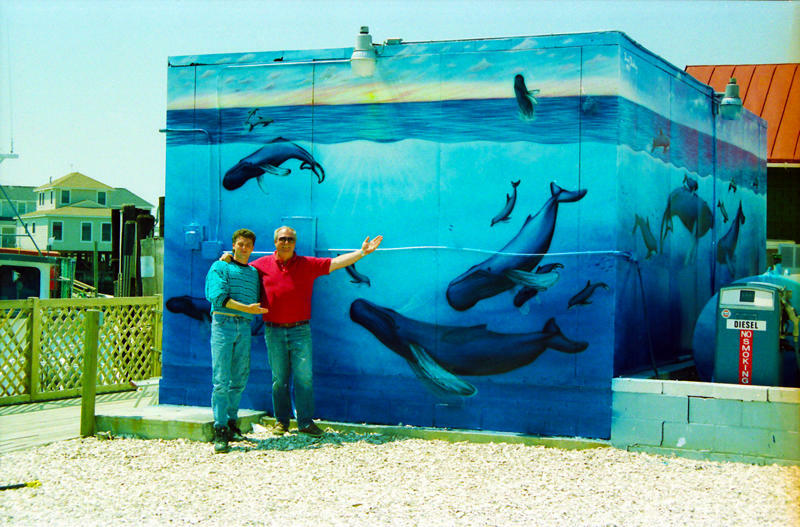 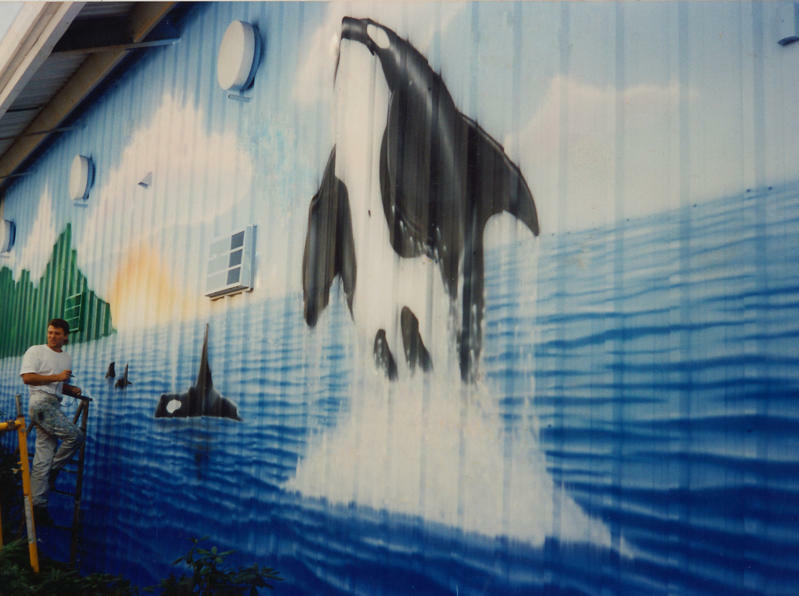 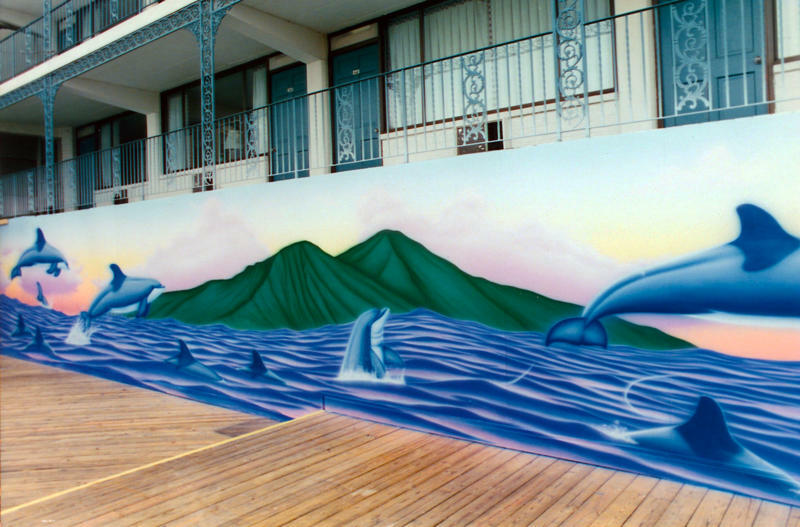 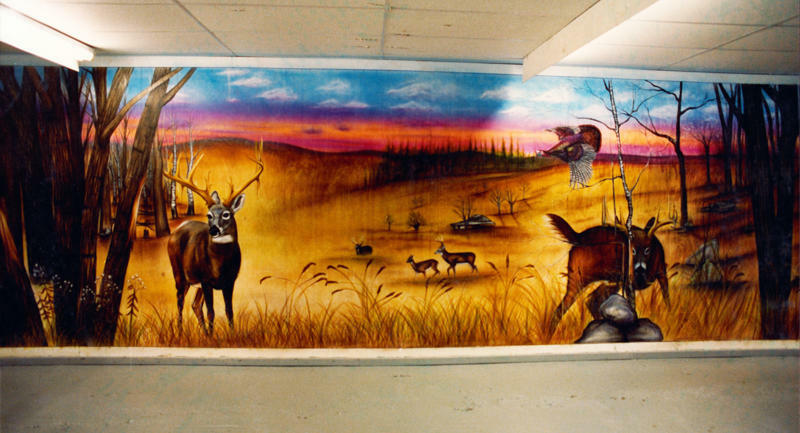 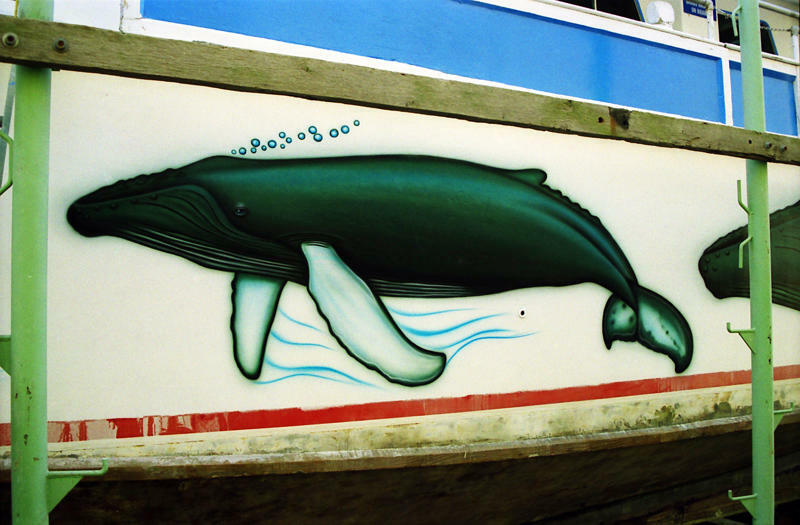 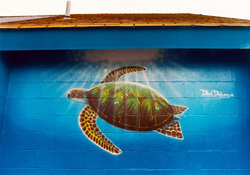 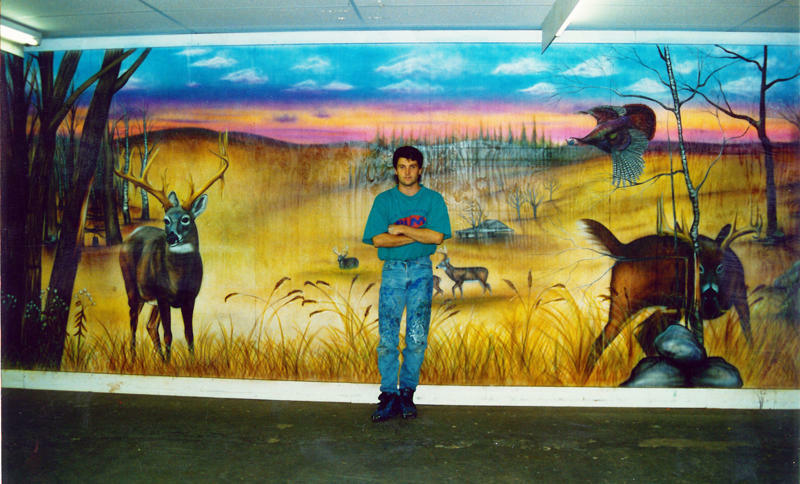 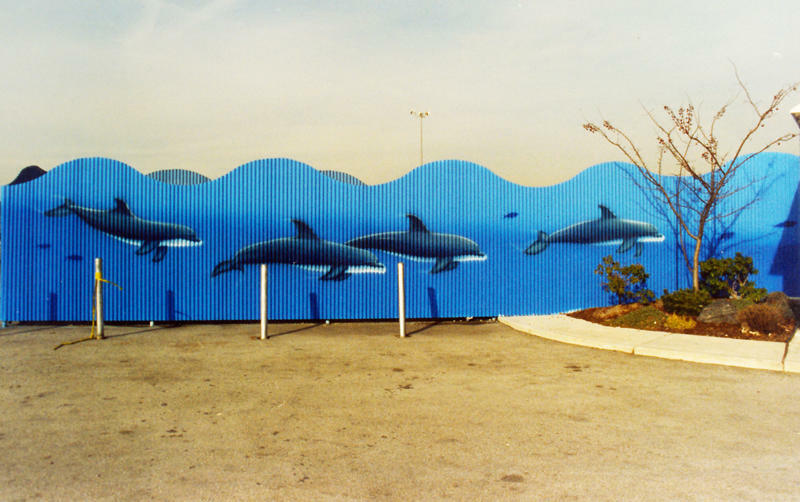 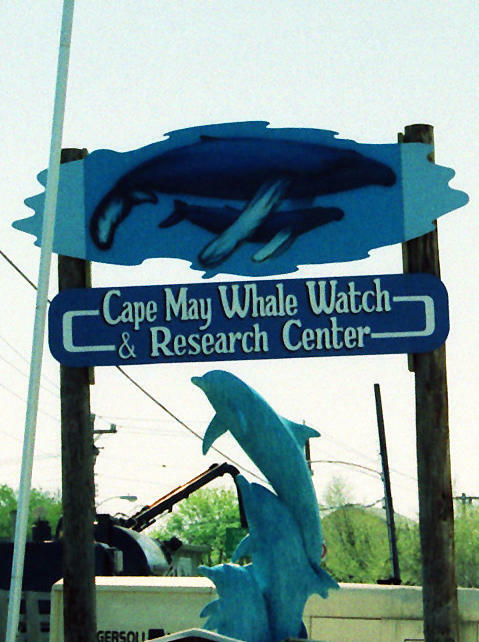 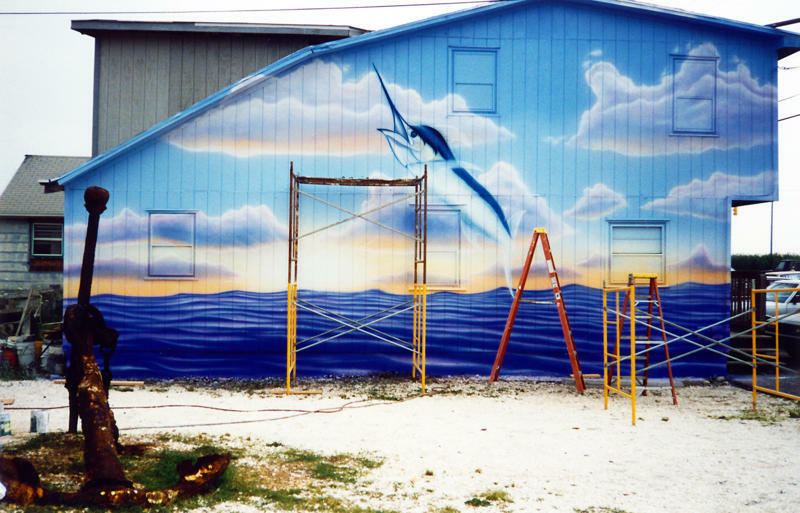 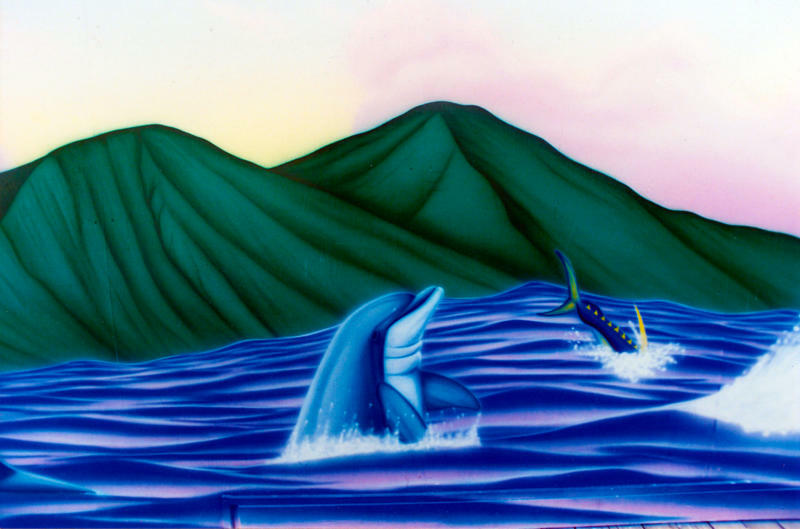 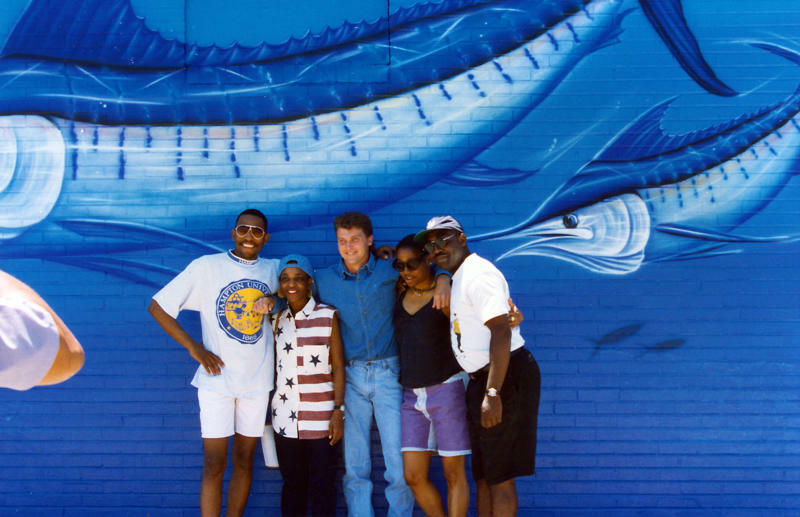 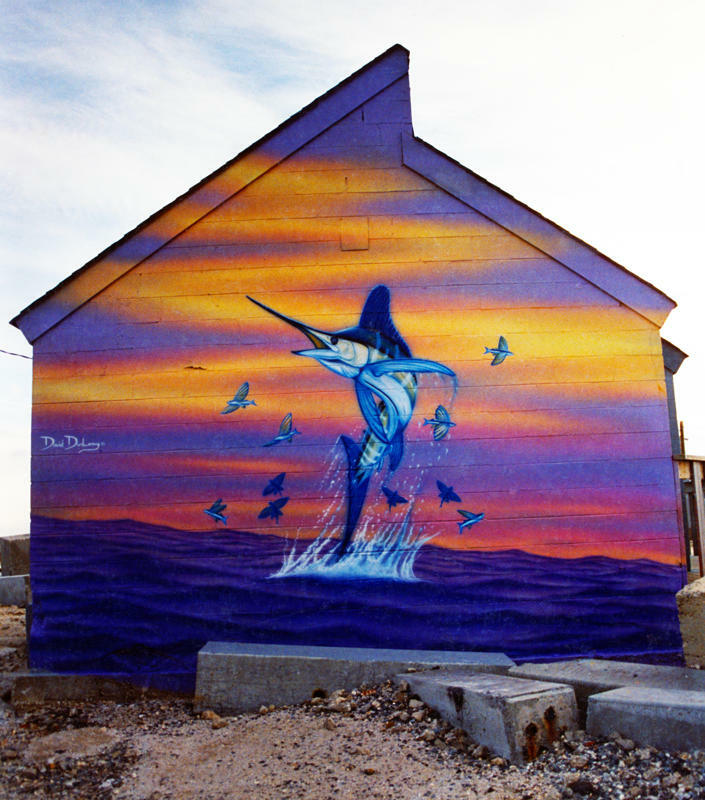 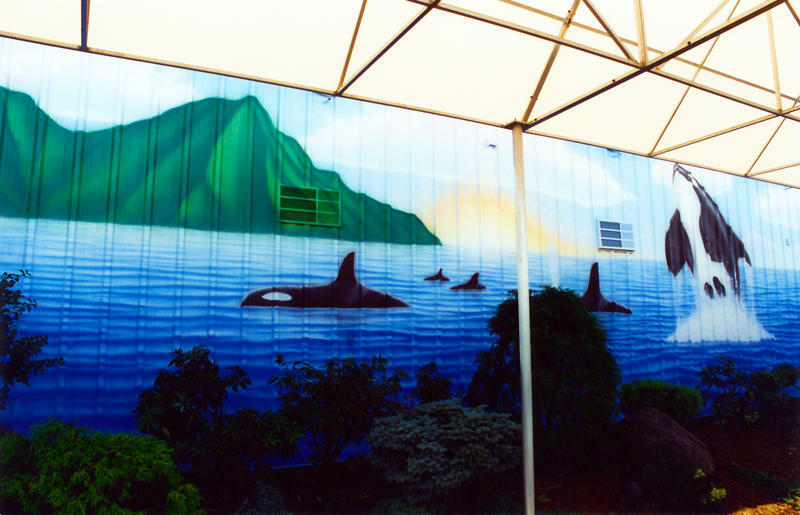 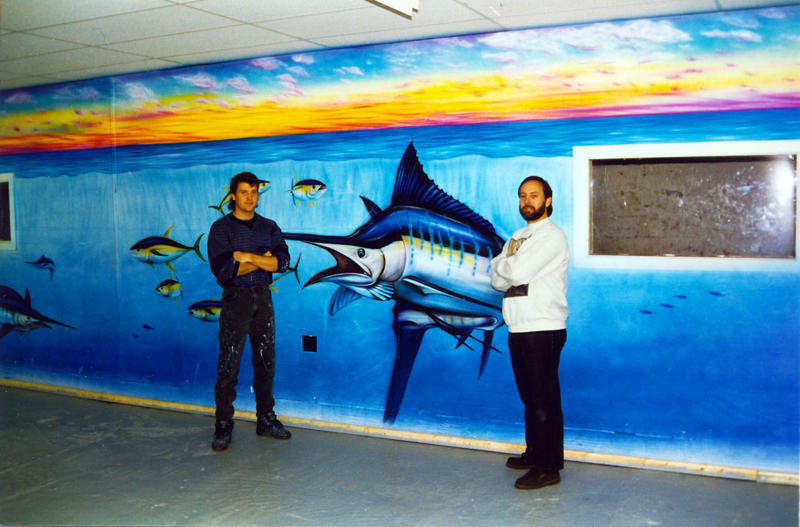 “SeaLife Murals” serve as a gateway to exciting water world curiosity and have helped reshape public awareness about the importance of preservation. 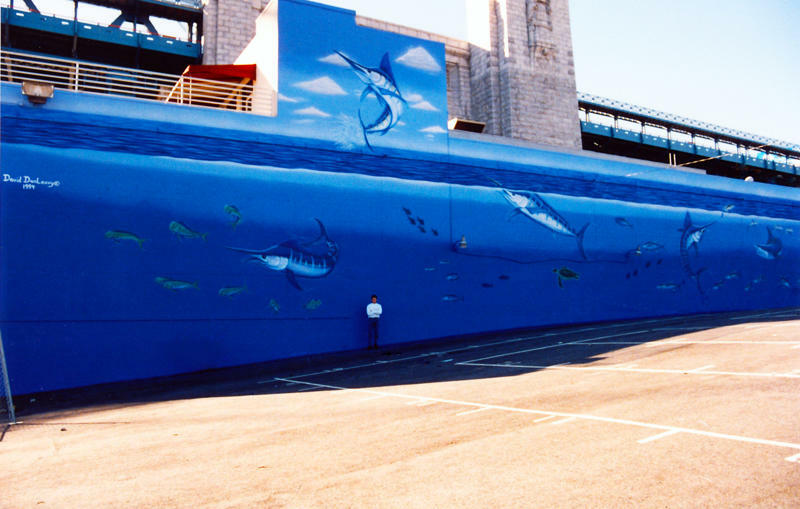 The impact and attention the “SeaLife Murals” command in communities is extraordinary, especially for any one who has never seen a giant painting of a shark or sea turtle anywhere but in a book or viewed on TV. 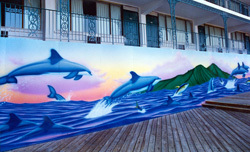 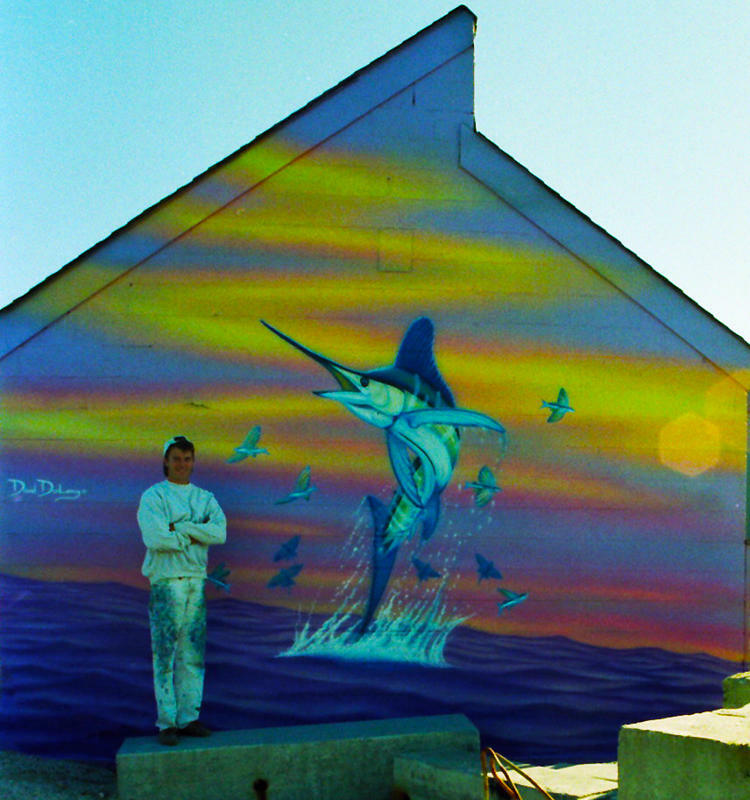 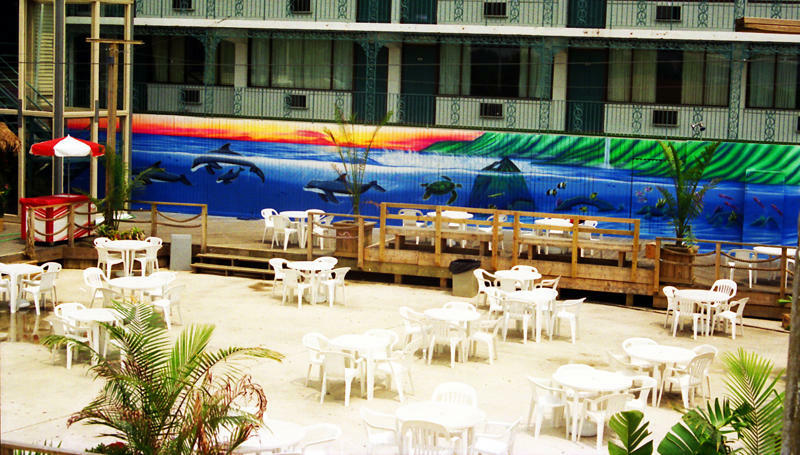 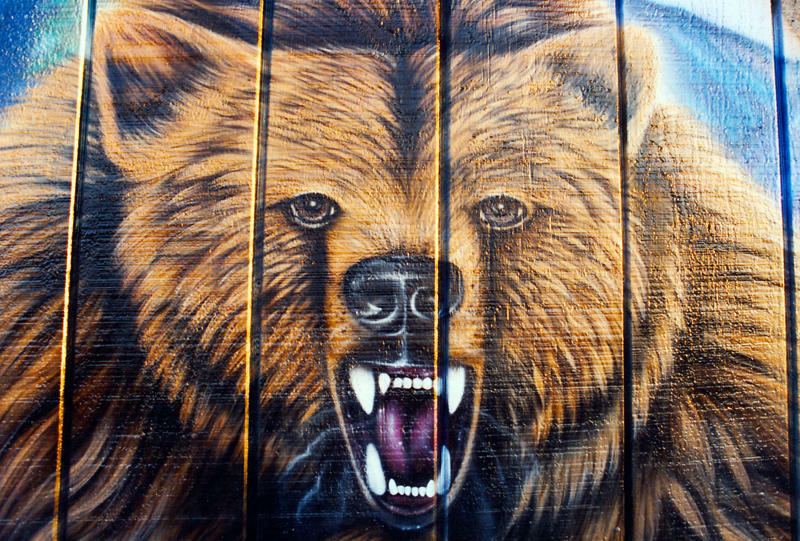 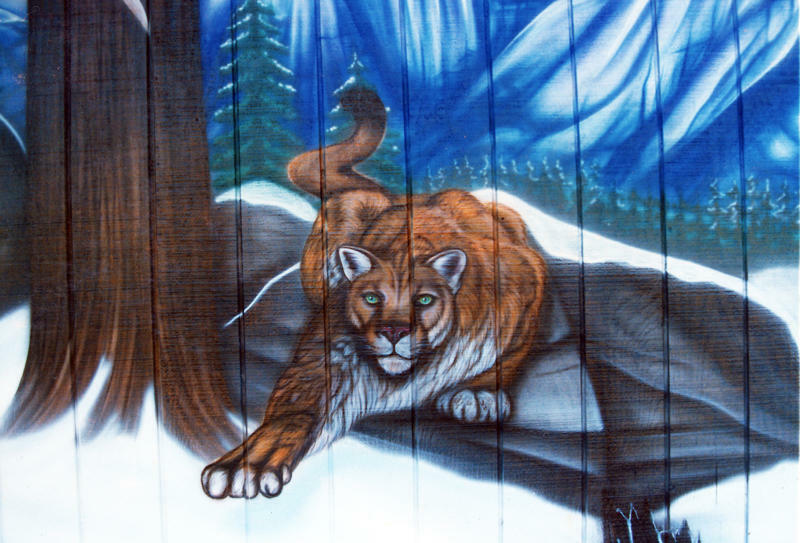 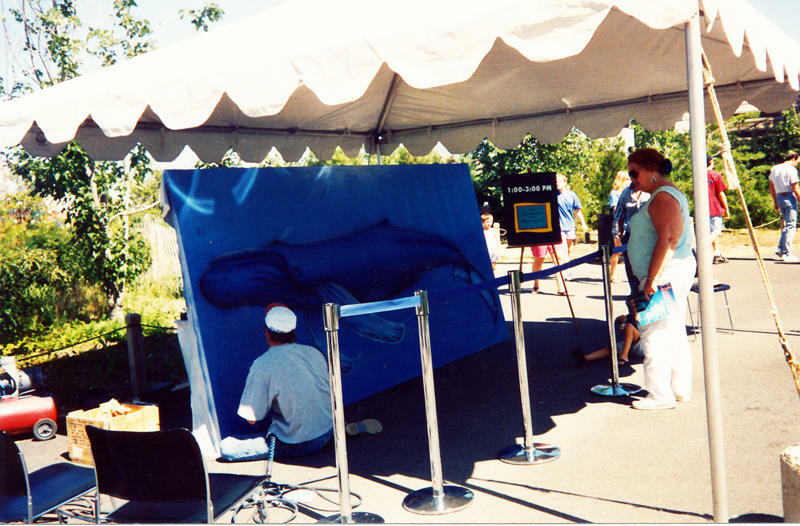 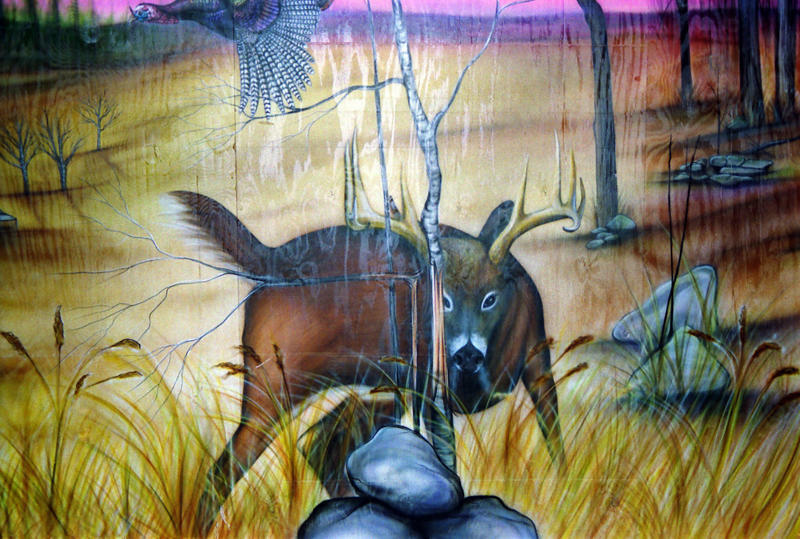 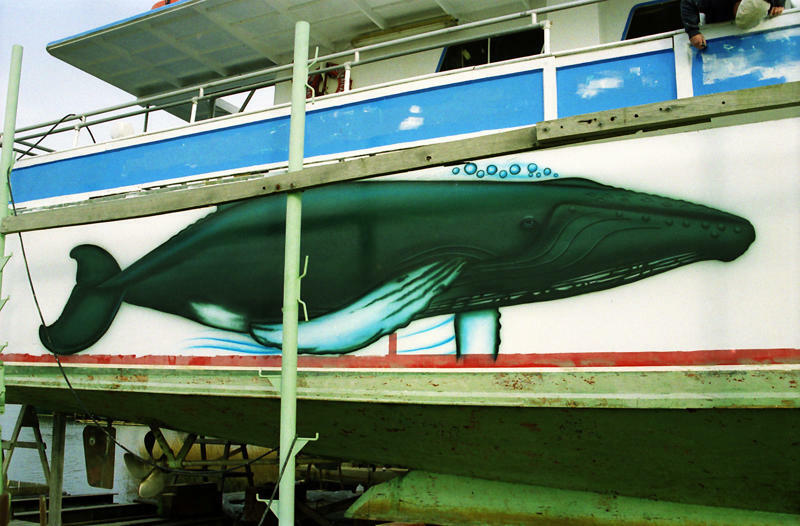 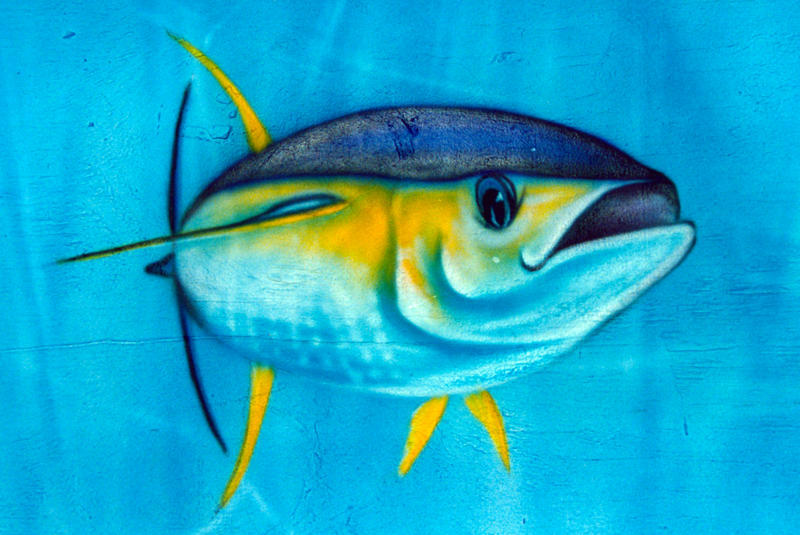 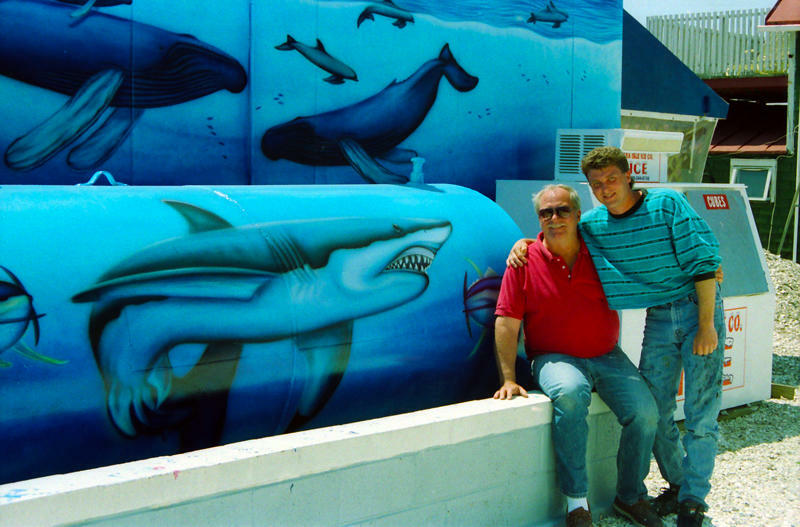 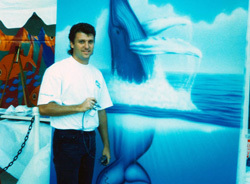 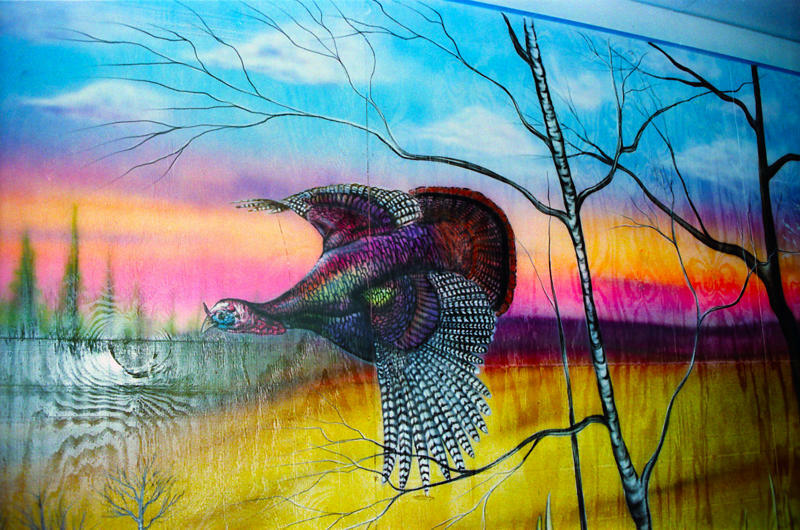 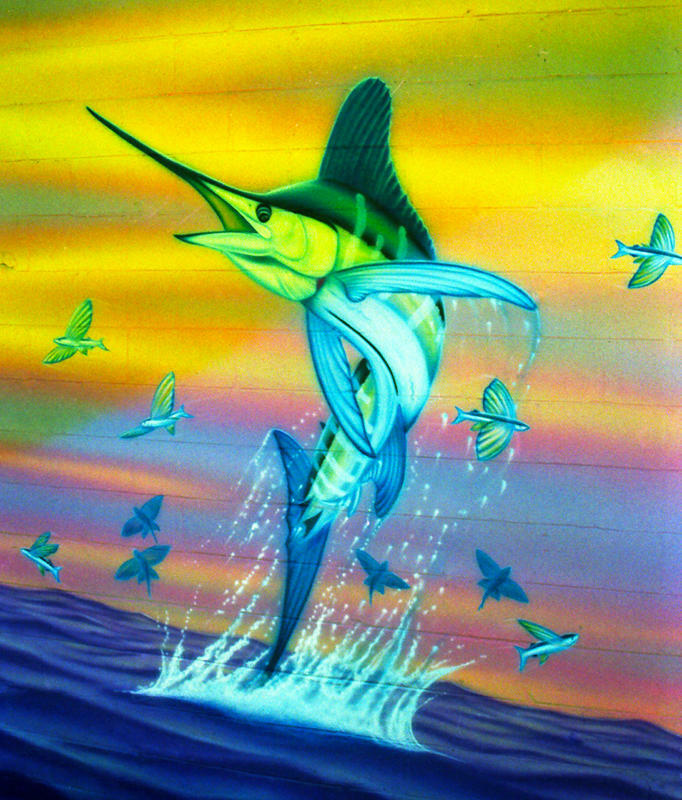 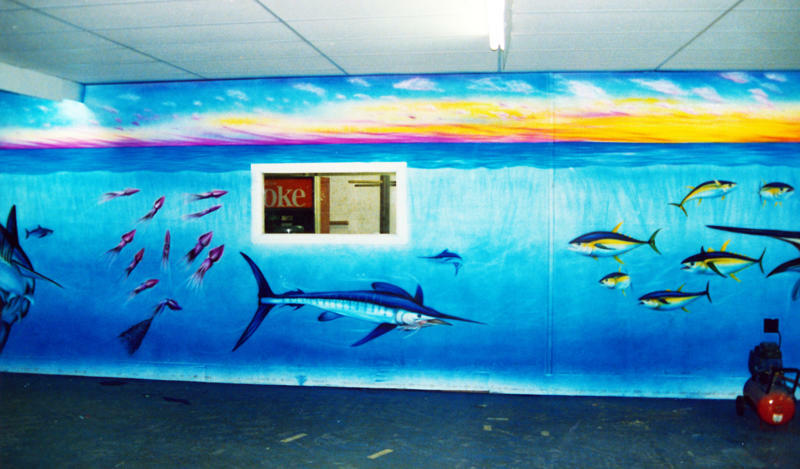 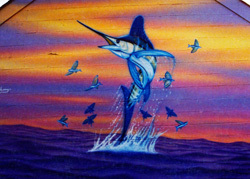 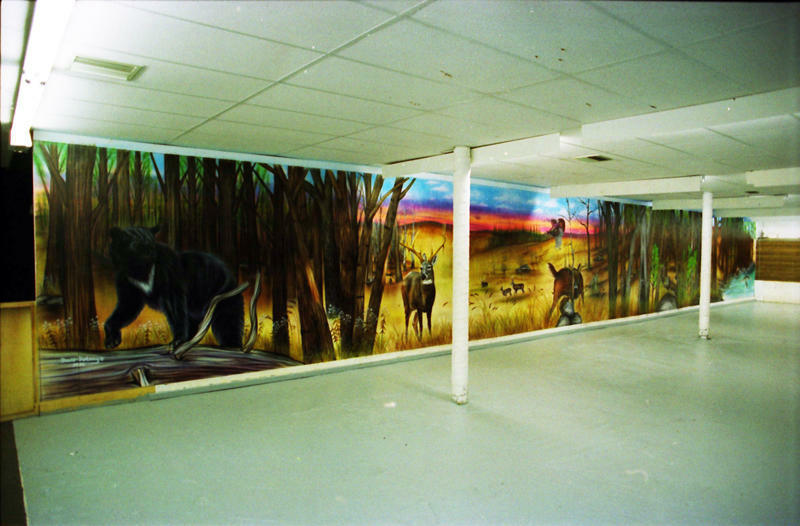 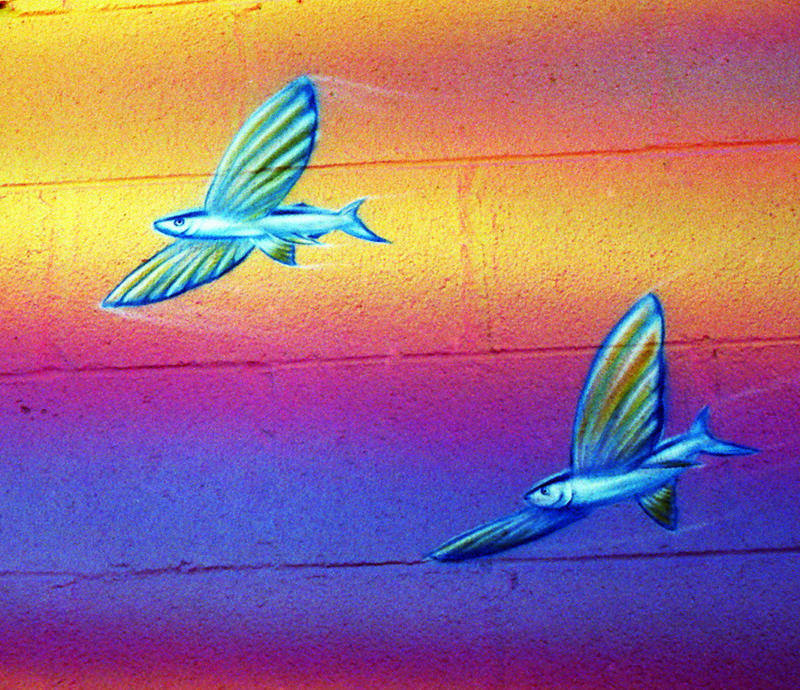 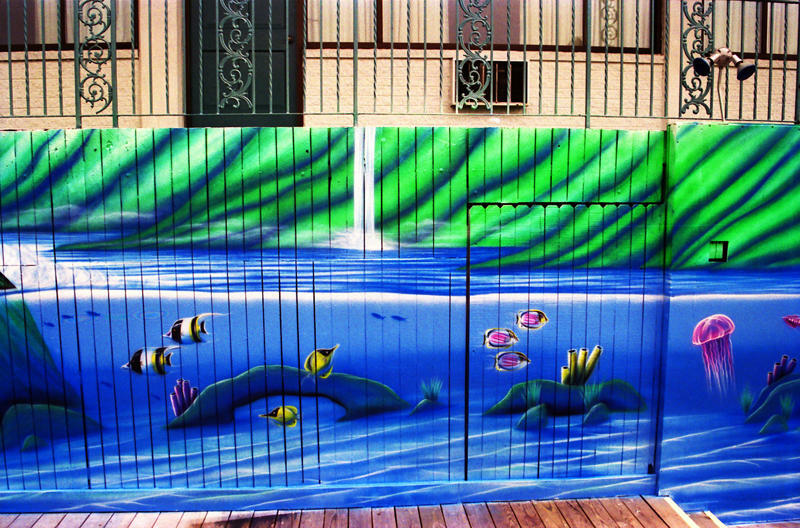 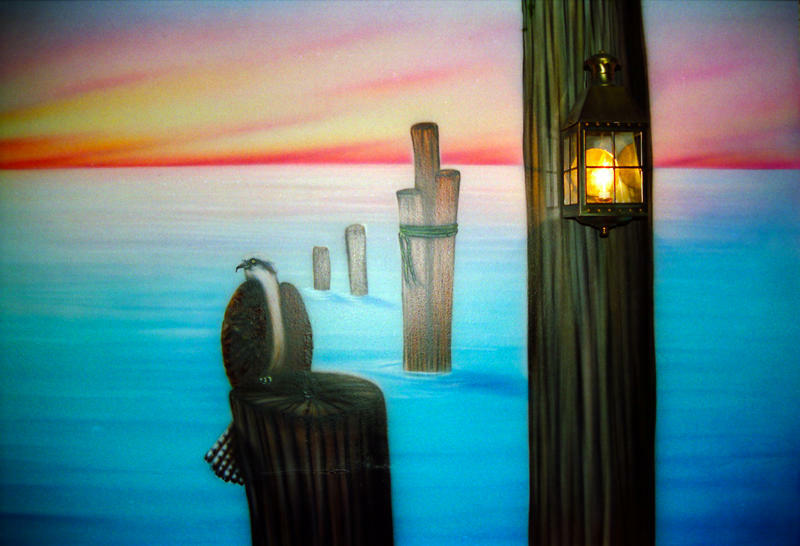 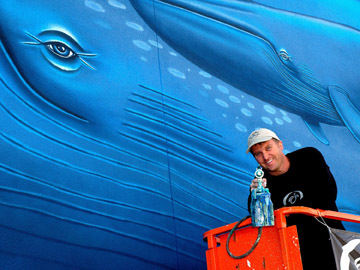 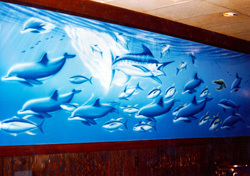 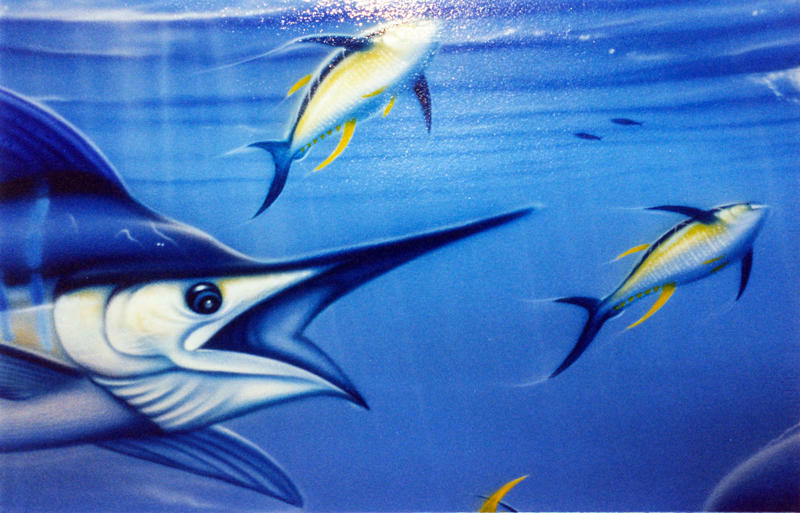 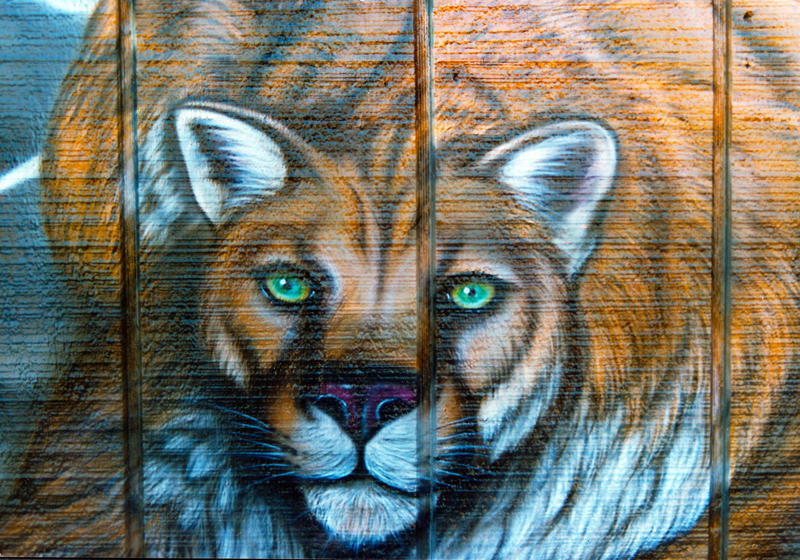 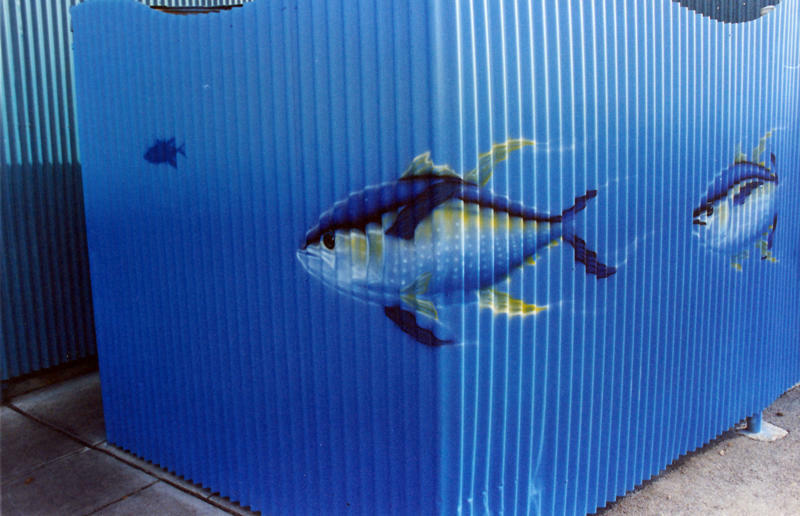 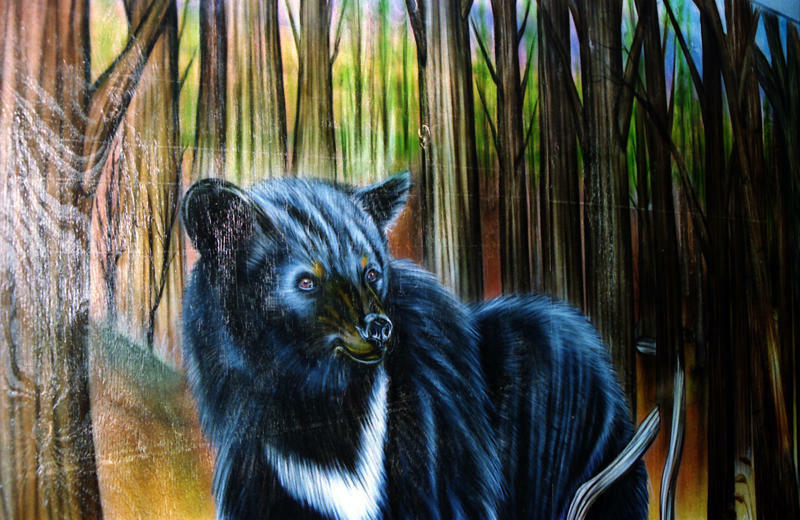 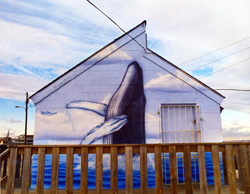 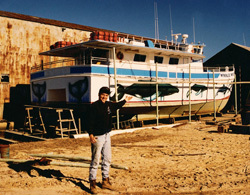 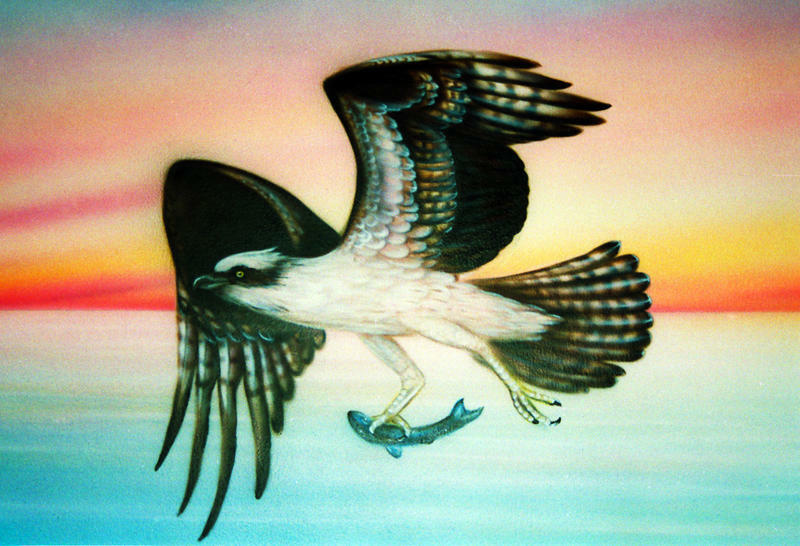 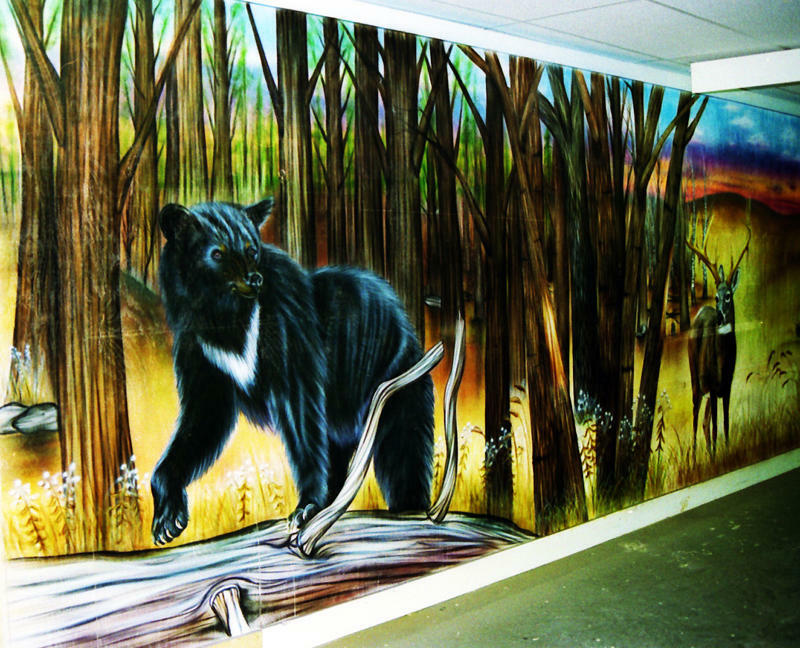 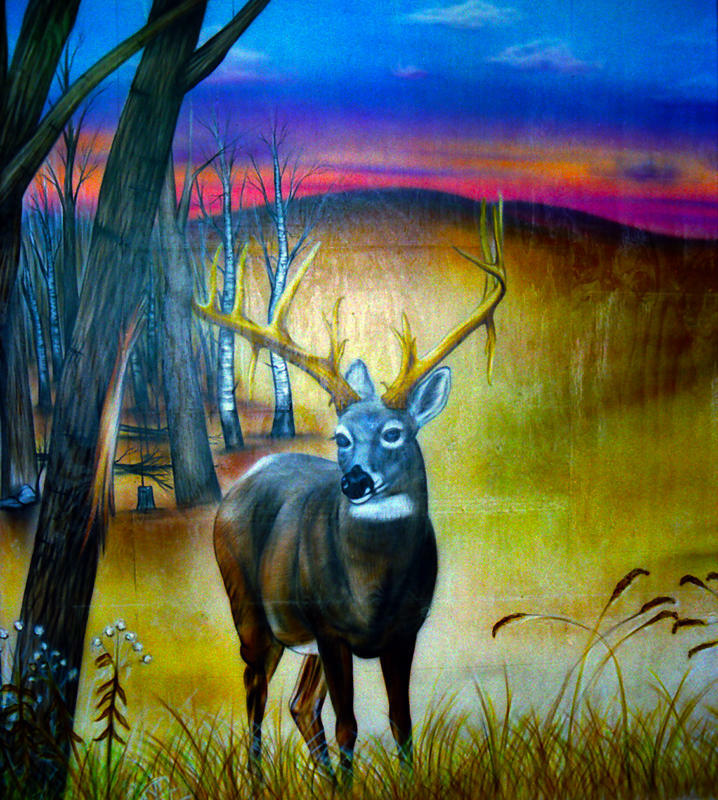 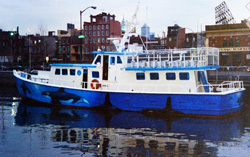 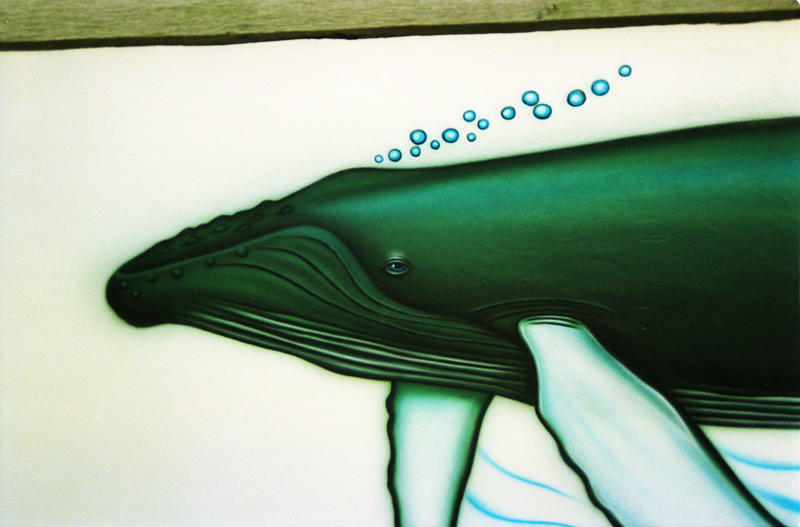 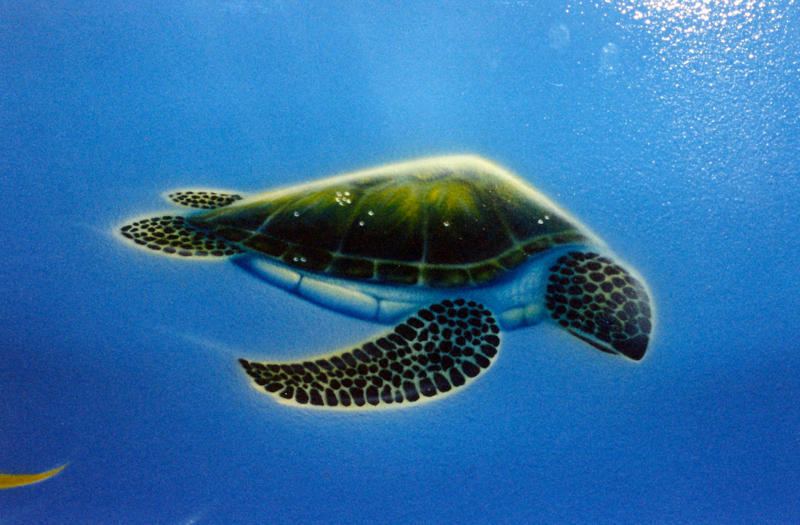 The SeaLife Murals are painted life sized or larger than life to inspire appreciation for the wildlife & great outdoors. Dedicated May 24th 1994 by William Cook Sr. 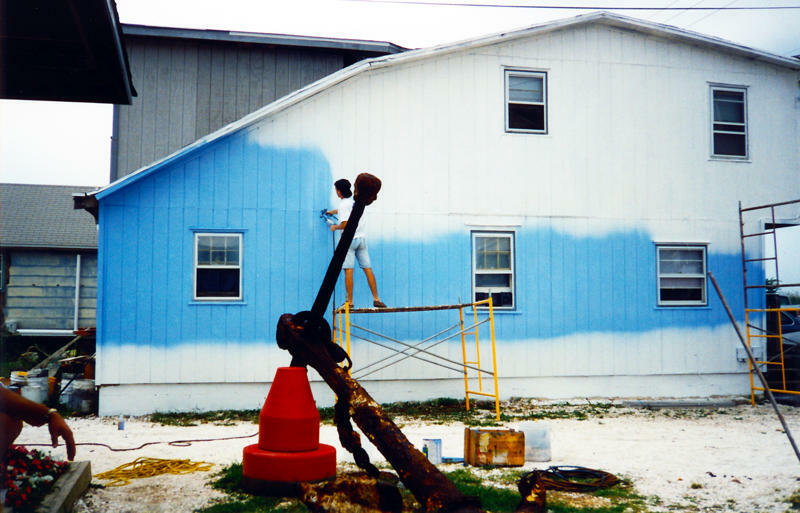 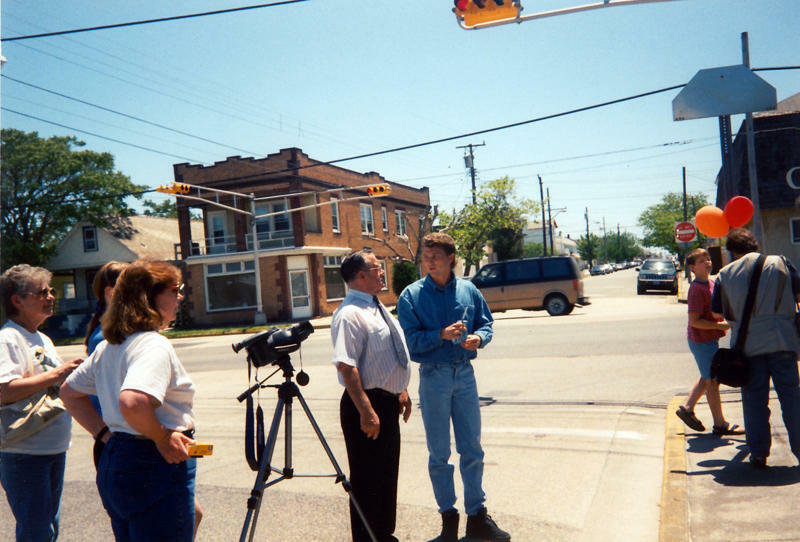 Dedicated April 30th 1995 by William Cook Sr. 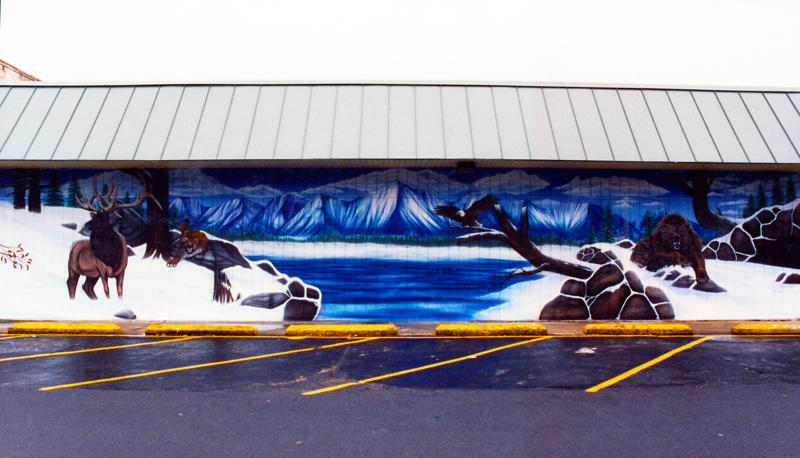 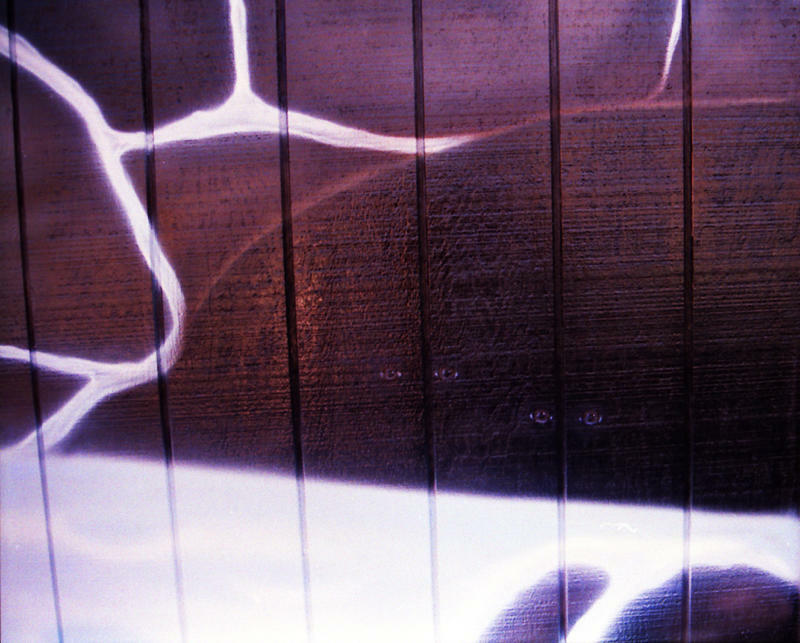 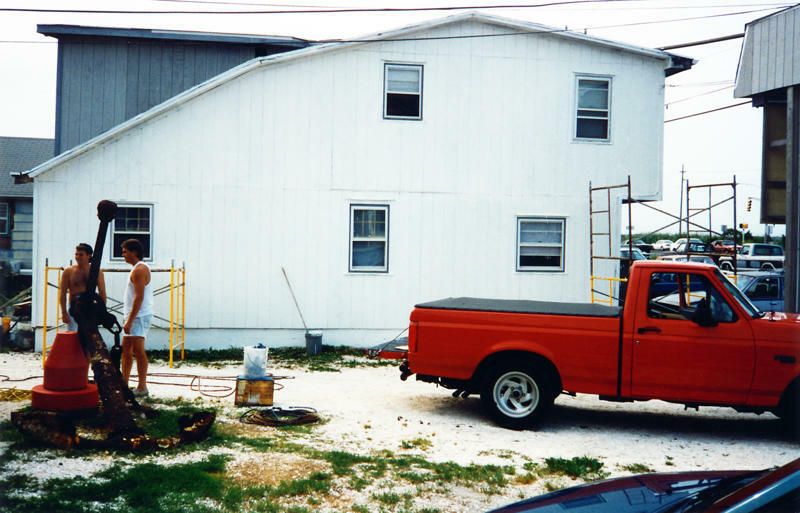 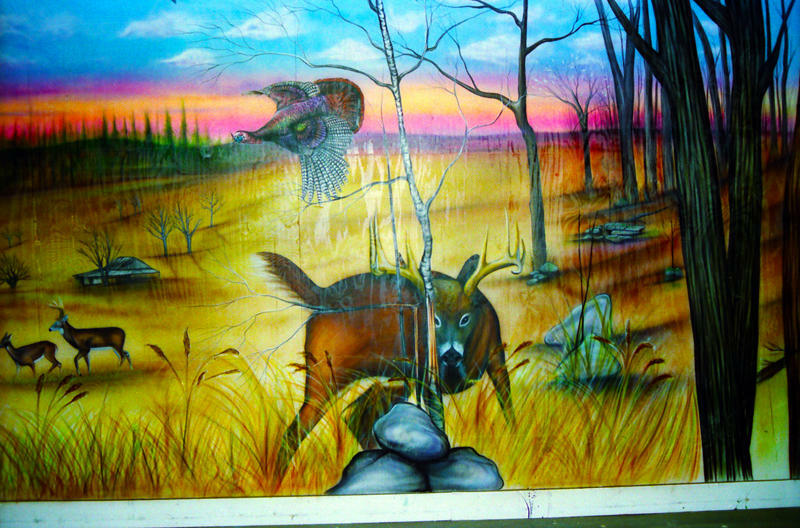 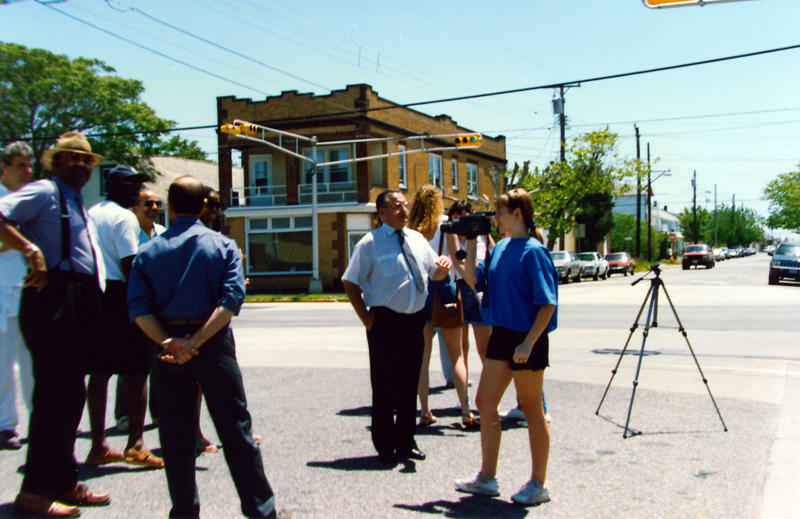 Dedicated May 17th 1994 by William Cook Sr.